This is not a sponsored post. I was invited to attend a media preview at Knott’s in order to write this review. All opinions are 100% my own. 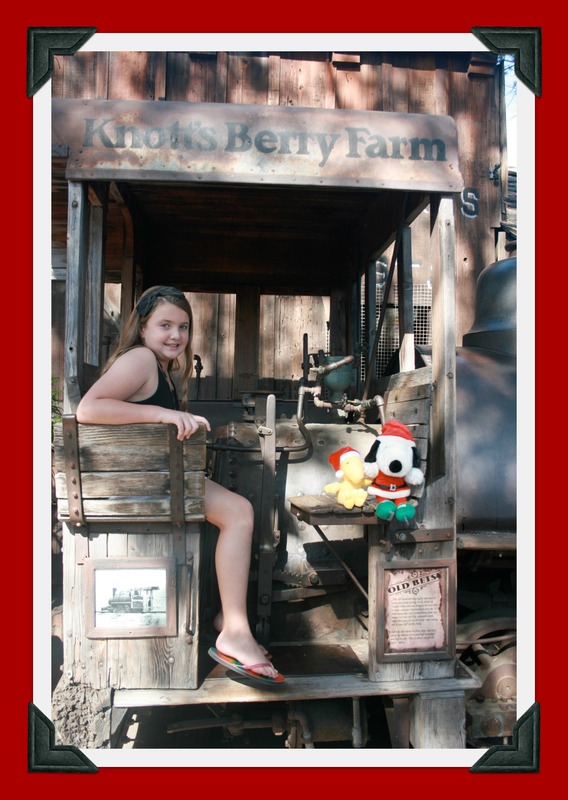 Part of our family’s holiday tradition every year includes a visit to Knott’s Berry Farm during Knott’s Merry Farm.It’s such a fun place to visit and a true Southern California holiday tradition. If you’ve never been before, you’ll want to get there this year before it ends on January 8. All throughout the Park, there are wonderful, festive decorations, special shows, tasty treats, and the usual thrilling attractions for guests to enjoy. As you stroll through Calico Ghost Town, you’ll literally feel like you’ve stepped back in time and right into the town’s old-fashioned Christmas celebration, “Christmas in Calico“. 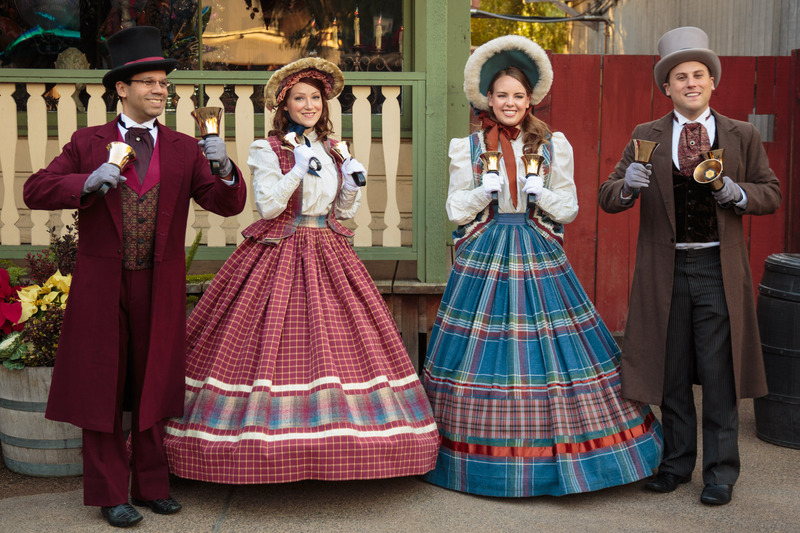 For the first time ever, the bustling streets of Calico are overflowing with seasonal joy as its gleeful citizens, from this summer’s Ghost Town Alive!, help guests celebrate the holidays with Christmas in Calico. New this year, Calico’s Town Hall offers plenty of holiday activities for all to enjoy.New this year, Calico’s Town Hall offers plenty of holiday activities for all to enjoy. Little ones can pen Christmas letters to jolly ol’ Santa Claus or gather round for a special reading of the holiday classic the Night before Christmas by the Calico citizens. Everyone can also lend a hand around town by delivering gifts to some of the folks in Calico. Just outside Town Hall, cheerful Calico Carolers roam the festive streets sharing the sounds of the season though songs and hand bell chimes. Also in Ghost Town, be sure to save time to watch a performance of Charles Dickens’ “A Christmas Carol”and O. Henry’s “A Gift of the Magi” brought-to-life at the Birdcage Theatre. You can also find the toe tappin’, hand clappin’, comedy and bluegrass of Krazy Kirk and the Hillbillies in the Birdcage Theatre. They’re always a lot of fun to watch! The all-new It’s The Merriest Christmas Show Ever, Charlie Brown at the Calico Mine Stage where the Peanuts gang put on the greatest Christmas pageant ever with Charlie Brown directing! The all-new Calico Tree Lighting Ceremony featuring the Calico Citizens and Bell Choir followed by thousands of sparkling, dancing lights and delightful snowfall in Ghost Town set to beloved holiday tunes. 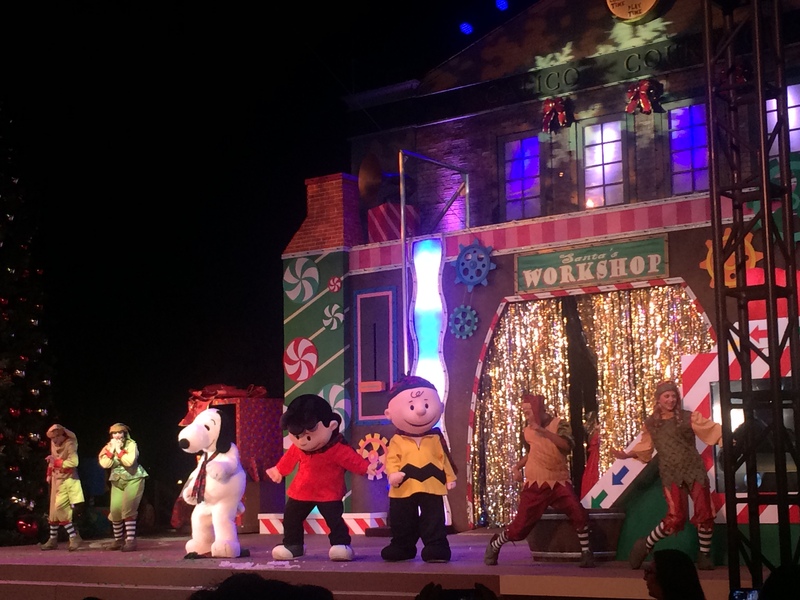 The all-new show A Peanuts Guide to Christmas at the Camp Snoopy Theatre has the Peanuts gang providing an entertaining primer designed to help everyone survive the holidays. 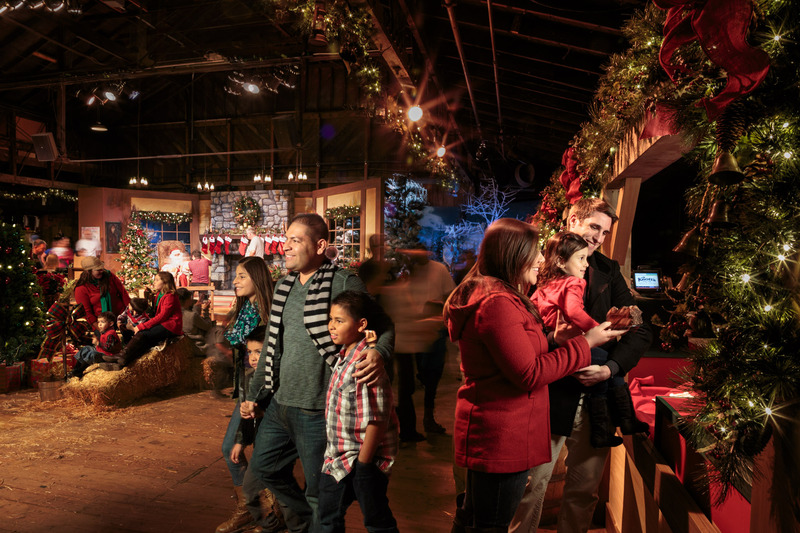 A visit to Knott’s Merry Farm is a true Southern California holiday tradition for so many families. Stop by between now and January 8 to join in on all of the fun! Connect with Knott’s Berry Farm on Facebook, Twitter, and Instagram. For information about Knott’s Season Passes, go here. 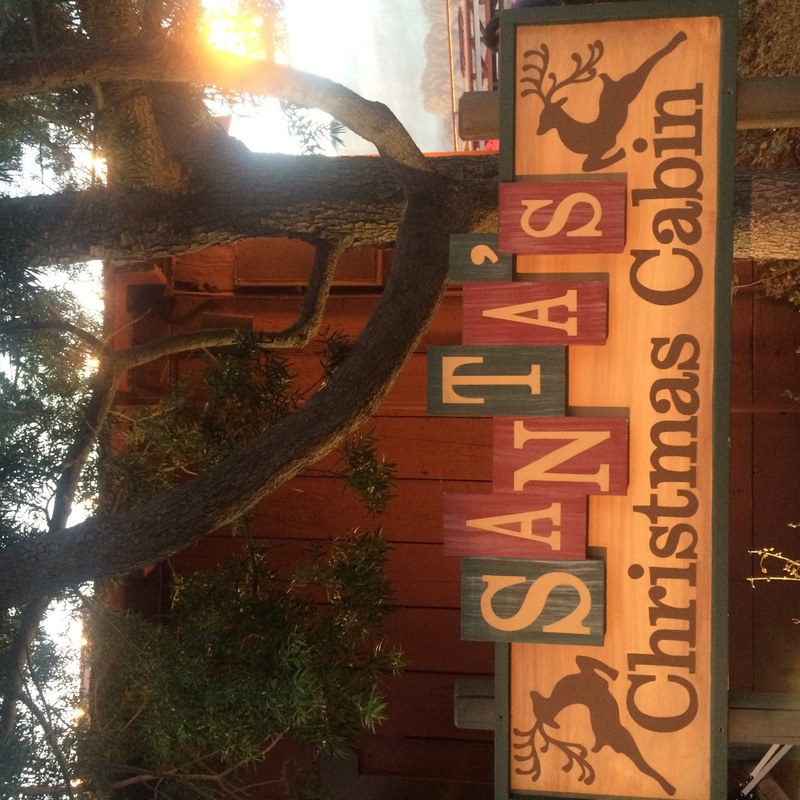 Disclosure: My family & I were invited by GigaSavvy to attend a Media Day at Knott’s Merry Farm in order to write this review of our experience. No other compensation was received. All opinions are 100% my own. 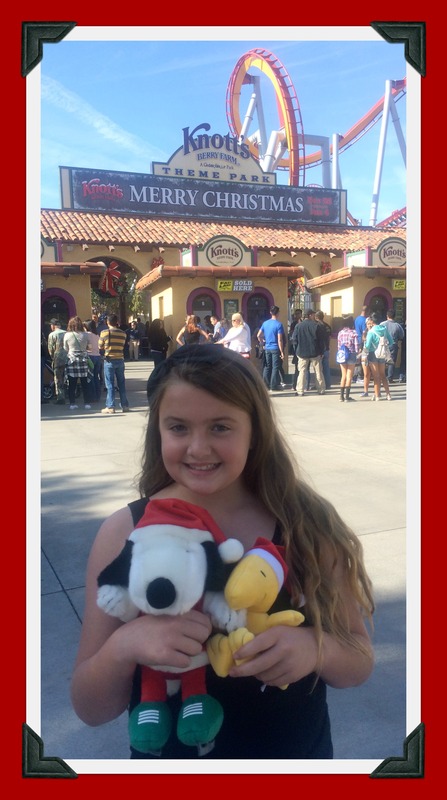 Every year, Knott’s Berry Farm is transformed into Knott’s Merry Farm for the entire holiday season and it makes my hear happy to be in the park and share all of the holiday fun with my family. This year, you can come to the park and enjoy all of the holiday offerings through January 3rd. 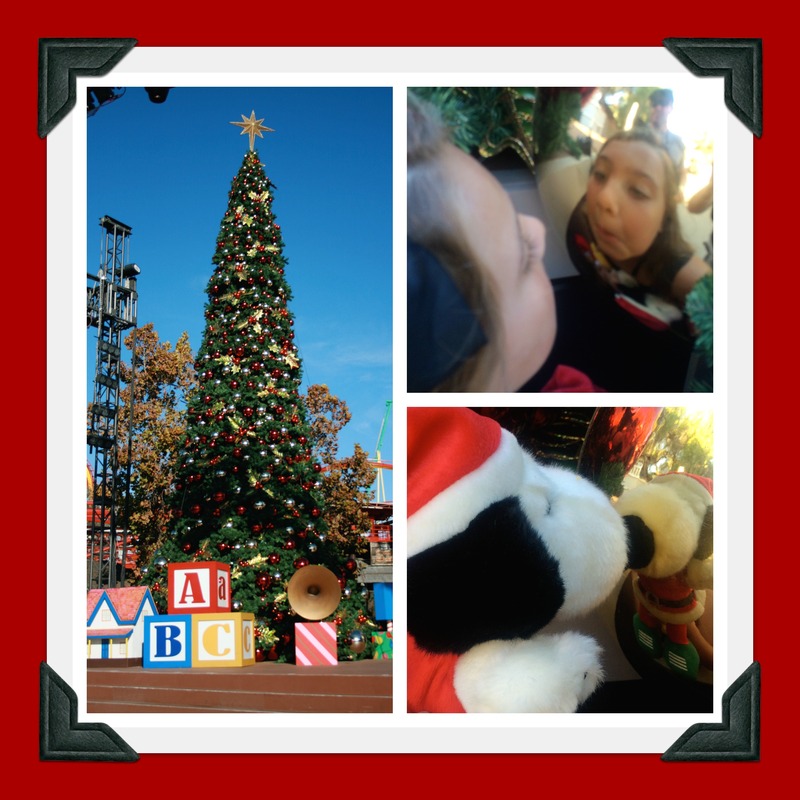 We were invited to spend a media day in the park, experiencing all of the holiday offerings. Sunny SoCal weather allows you to enjoy it all while wearing tank tops and shorts but the decorations and make you feel like you’re in traditional Christmas town. 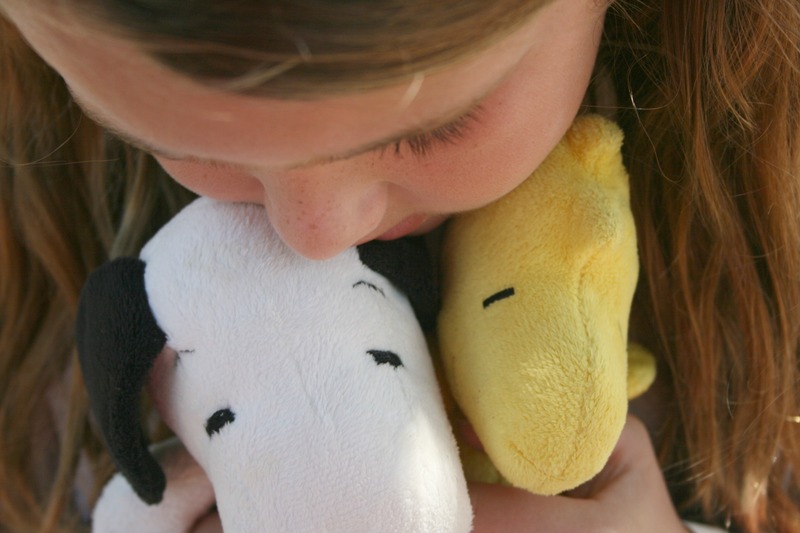 Kids always love to spend time over in Camp Snoopy, riding attractions that are just their size, and it’s decorated really cute this time of year. 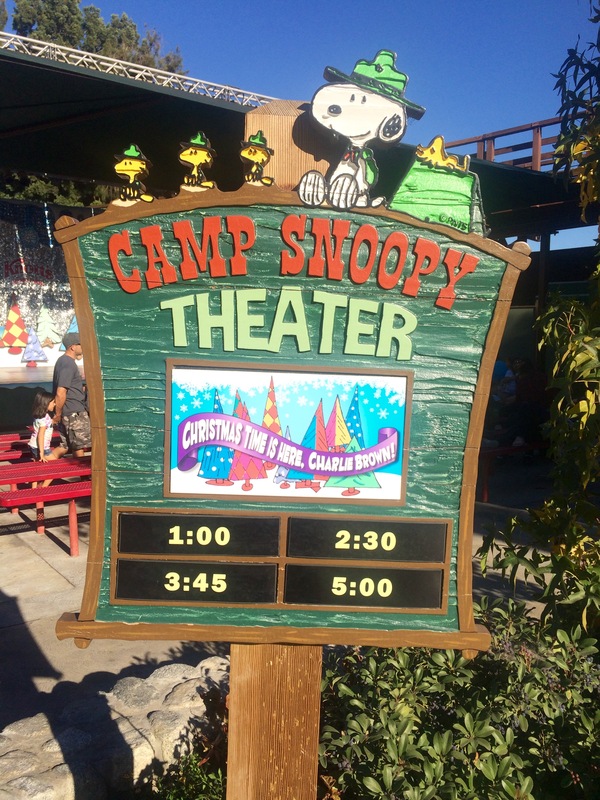 In the Camp Snoopy Theater, you can catch a performance of “Christmas Time is Here, Charlie Brown!”, starring all of your favorite Peanuts characters. One of our favorite places to dine while we’re in the park is Grizzly Peak Lodge. 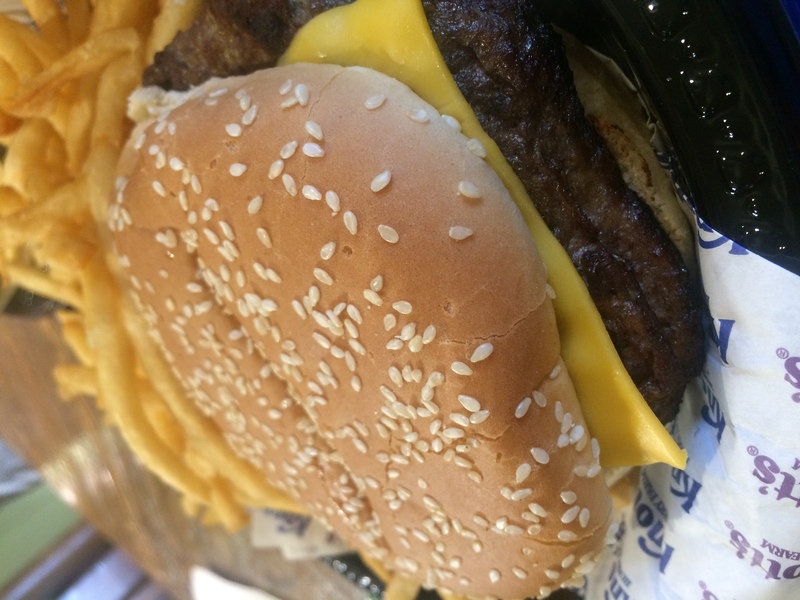 They make a great cheeseburger and feature a condiment bar where you can build your burger just the way you like it! 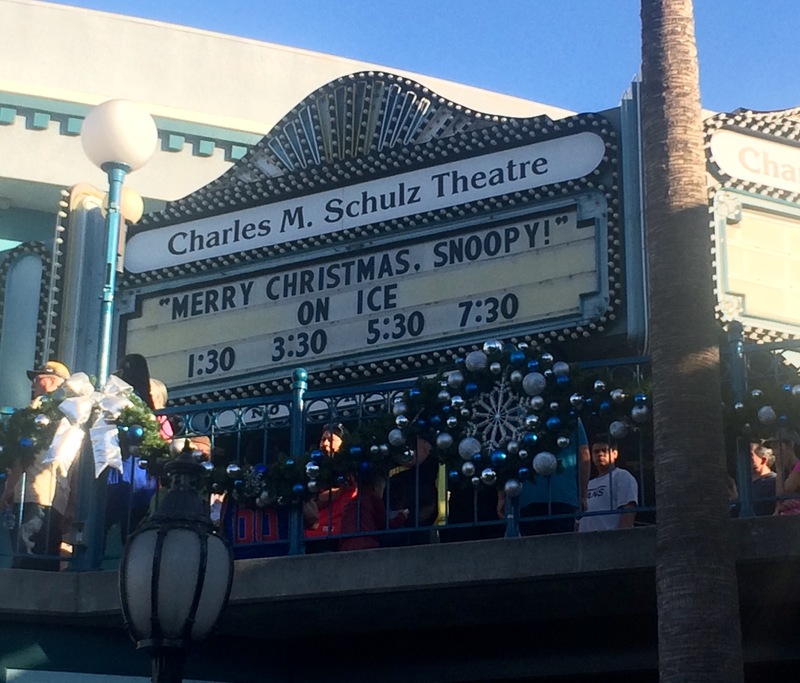 After we finished our lunch, we headed straight over to the Charles M. Schulz Theatre to watch the “Merry Christmas, Snoopy!” Ice Show. This show is beyond fabulous and a must-see on your visit to Knott’s Merry Farm and is something we look forward to each year. Watching the ice show always makes me tear up (in a happy sort of way) and this year was no different! The skaters in the show are extremely talented and perform each song so elegantly. 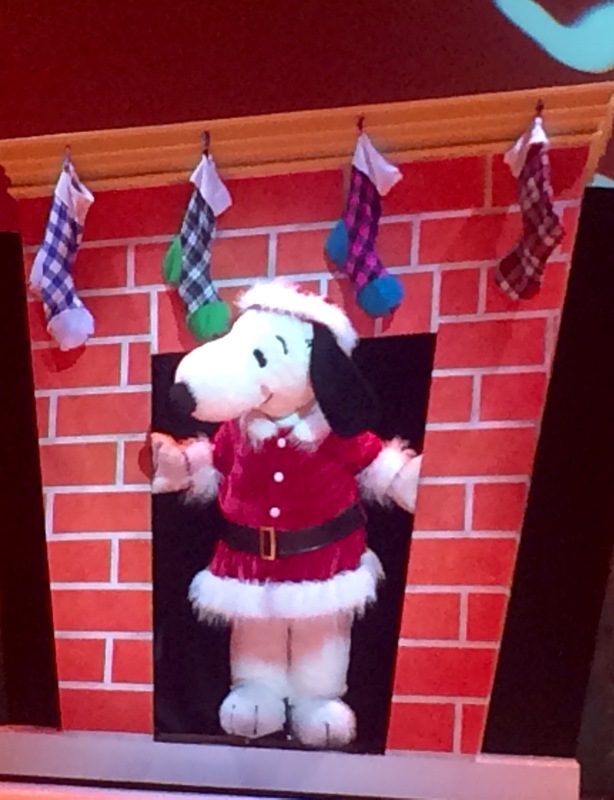 The set designs are even more beautiful this year as are the costumes and you can always count on classic Peanuts fun within the show and of course, Snoopy is the star! I probably could’ve just spent my entire day inside the theater, watching all 4 performances of the day, if the kids would’ve let me, but they wouldn’t. They were ready to head over to see Santa next! 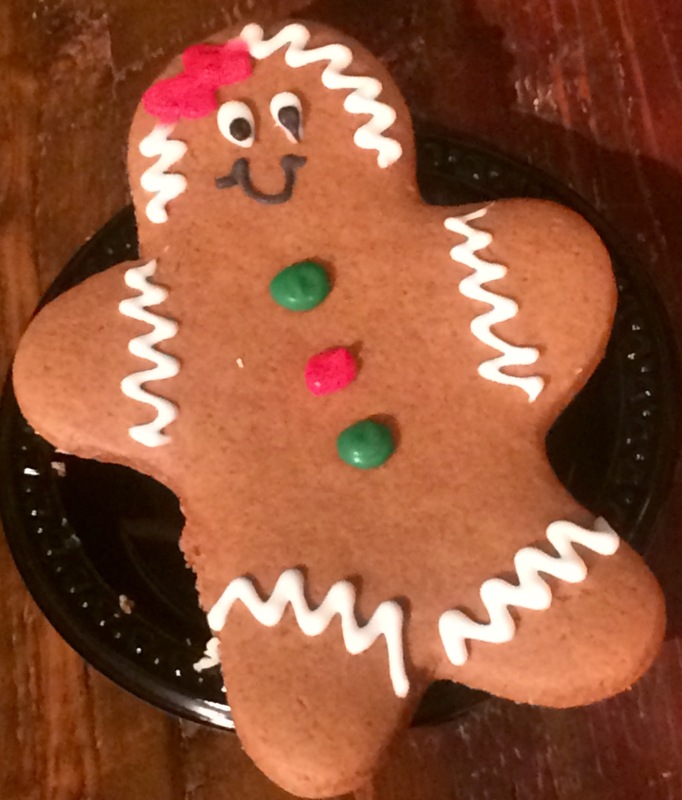 You can find him, along with a ton of yummy treats, in Santa’s Christmas Cabin, located in Calico Ghost Town. 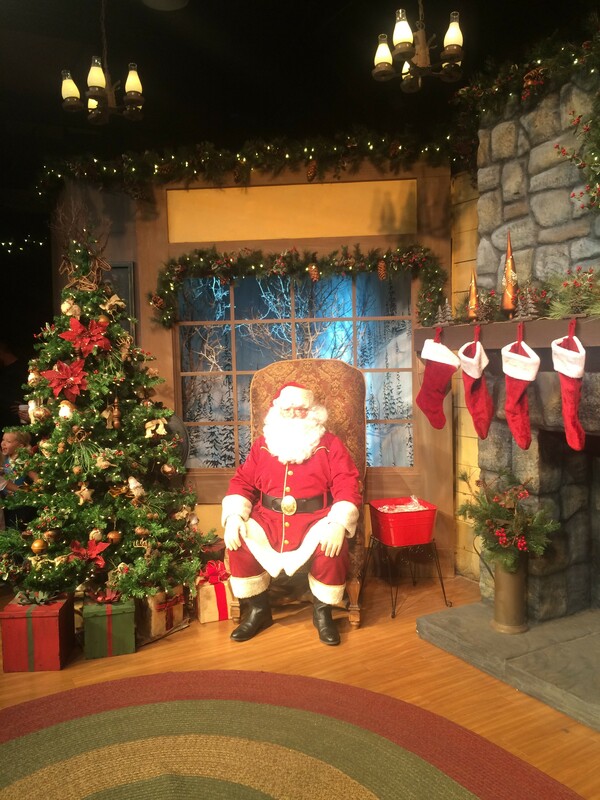 Santa’s sitting up, on the stage, ready for kids to visit and share their holiday wish lists with him. 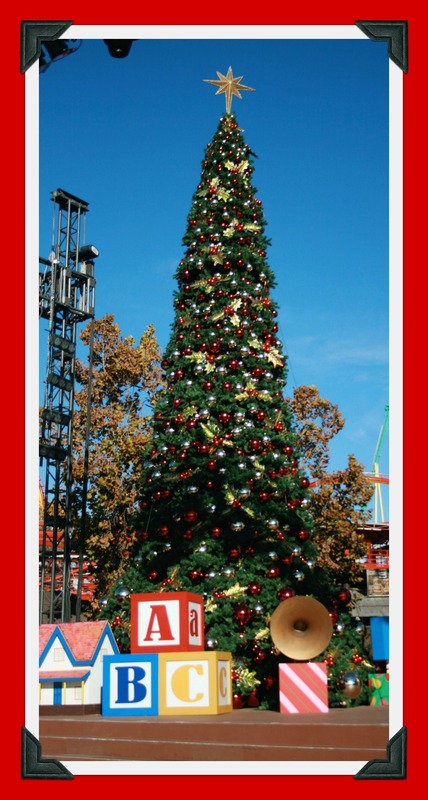 You can take photos with Santa, which are also available for purchase, and come in a keepsake Knott’s Merry Farm folder. I wasn’t exaggerating about the word “ton” when I referred to the treats available for purchase inside Santa’s Christmas Cabin. Among the treats, you’ll find roasted nuts, pastries (including adorable cookies), Starbucks coffee, hot cocoa, beer and wine, and homemade Santa’s cookies with milk. Luckily, there’s always room in my tummy for treats! 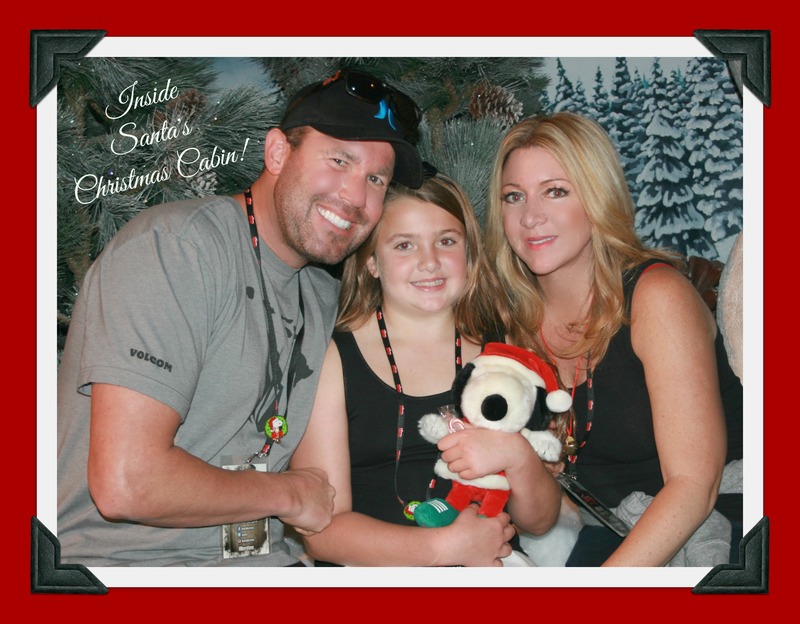 While you’re inside Santa’s Christmas Cabin, don’t forget to snap some fun photos at the digital photo booth. Afterwards, you can email the photos to yourself. 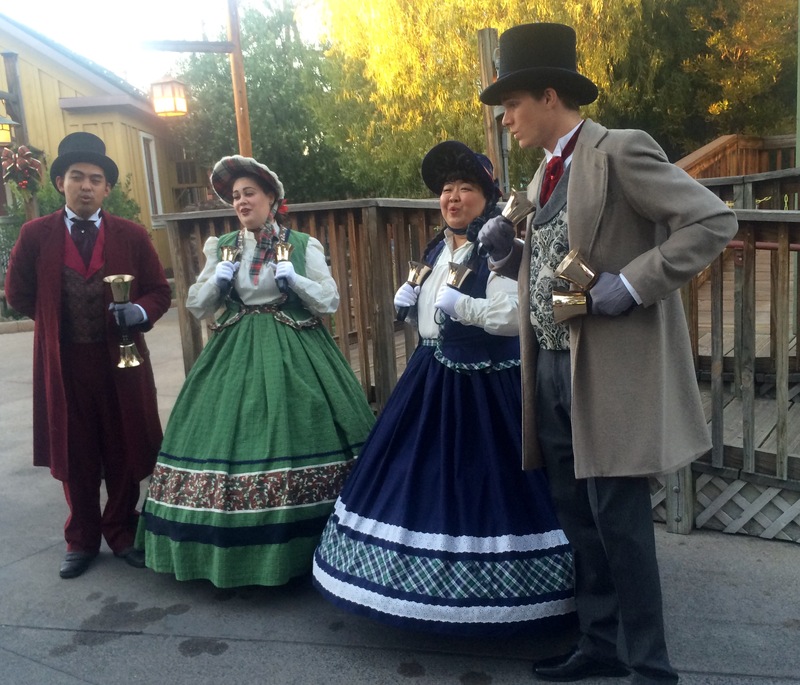 You can find special Christmas Carolers wandering around Ghost Town, singing favorite seasonal songs and playing handbell chimes. Their beautiful holiday attire and carols will put you in the holiday spirit. 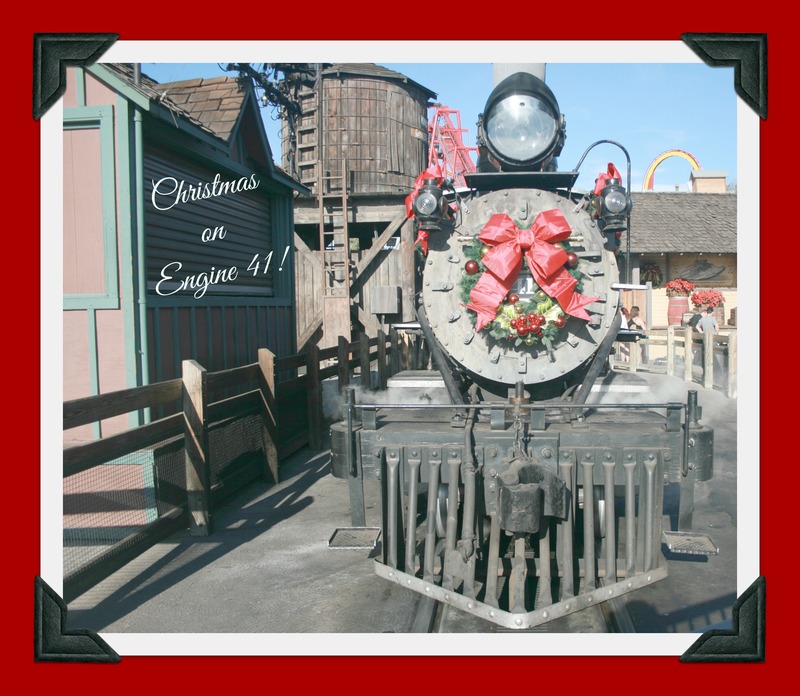 It’s also fun to take a ride aboard the train to experience “Christmas on Engine 41”! 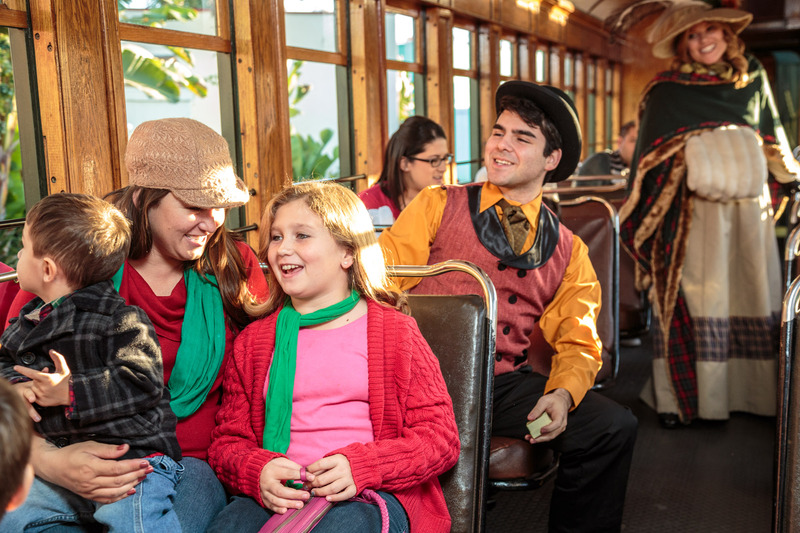 As you cruise along, you’ll be serenaded by carolers and holiday folk. As nightfall approaches, guests start to gather around the Calico Square Stage to wait for Snoopy’s Merriest Tree Lighting to begin. 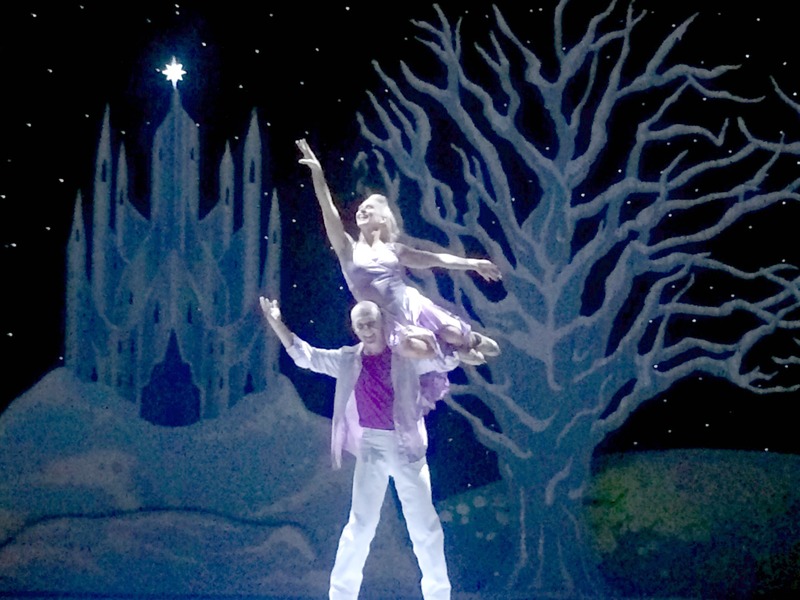 This fun stage show is filled with holiday music and dancers and stars Santa & Mrs. Claus and the Peanuts Gang. It’s a fun, family experience and afterwards, if you stick around Ghost Town, you can also experience “glow and snow” on the buildings and paths in Ghost Town’s Main Street and School House Road. Thousands of sparkling lights dance to the beat of “Let It Snow” while snow gently falls in this spectacular one-of-a-kind moment. and Glow. Knott’s Merry Farm was so much fun! It’s something you won’t want to miss out on. Just all the more reason you’ll want to grab a 2016 Knott’s Season Pass. When you purchase a pass for the new year, you’ll also receive one free visit in 2015. It’d be perfect to use to visit during the Knott’s Merry Farm season. For more information about Season Passes, click here. 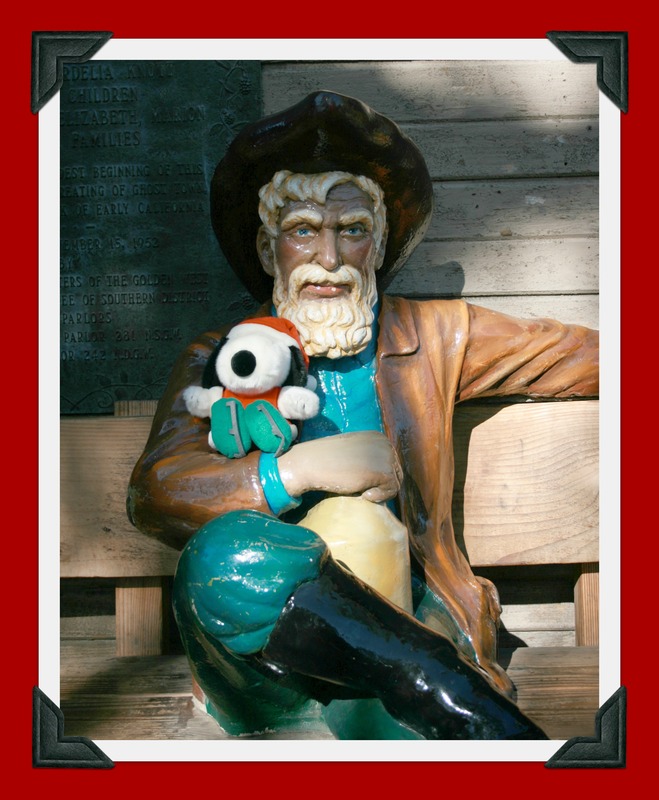 Find Knott’s on Facebook, Twitter, and Instagram. 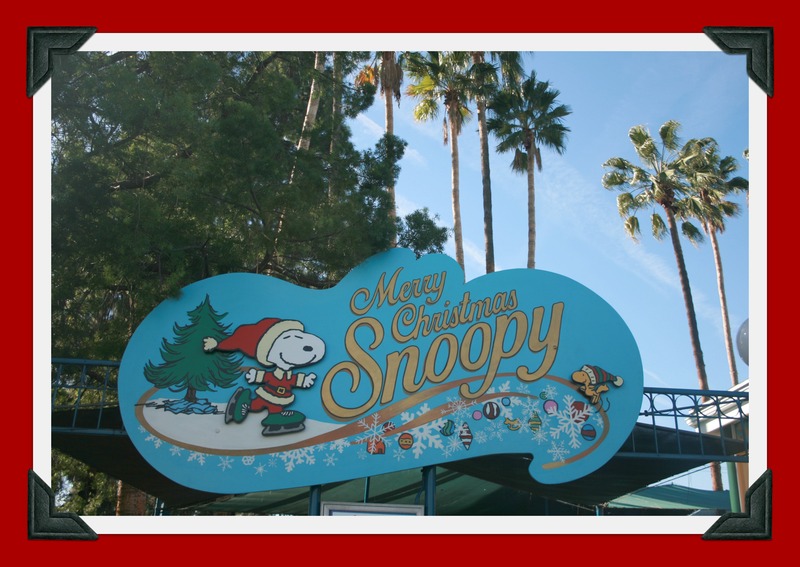 A Holiday Season Filled With Joy, Cheer And Even a Nighttime Snowfall at Knott’s Merry Farm! 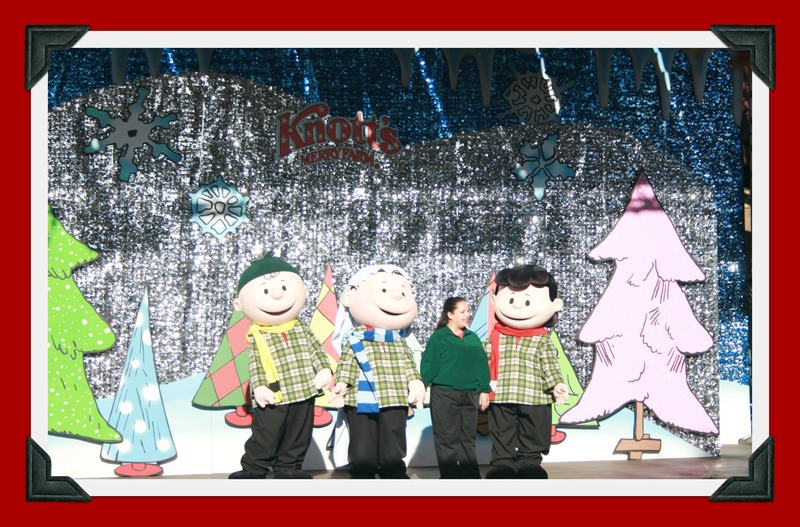 Disclosure: My family & I are invited by GigaSavvy to attend a Media Day at Knott’s Merry Farm. No other compensation was received. All opinions are 100% my own. 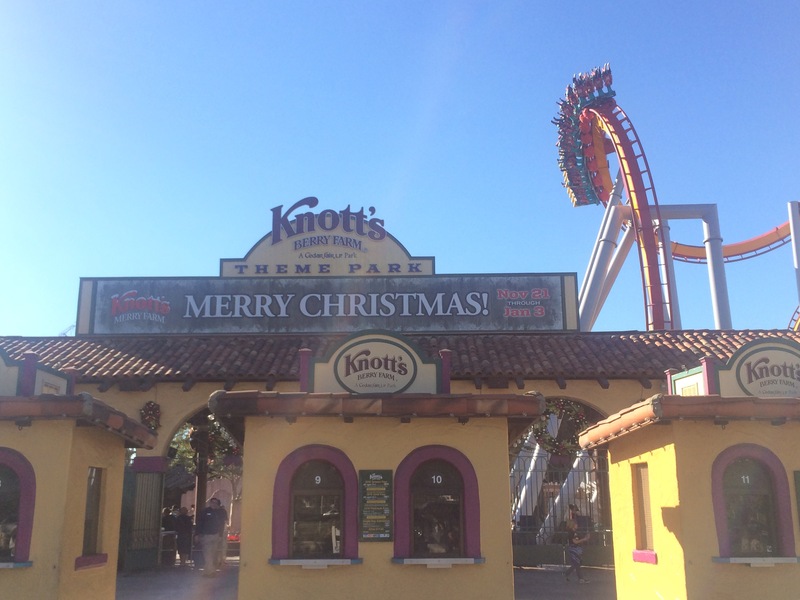 Halloween is great and I love it, but I’m so happy it’s over because I’m ready for the holiday season to begin now, starting with Knott’s Merry Farm! Have you been before? It’s something my family and I look forward to every year. Starting November 21st, Knott’s will be transformed into Knott’s Merry Farm and filled with the spirit of the holiday season. It’s the perfect place to create holiday memories together as a family. This seasonal event has become one of our annual holiday traditions. 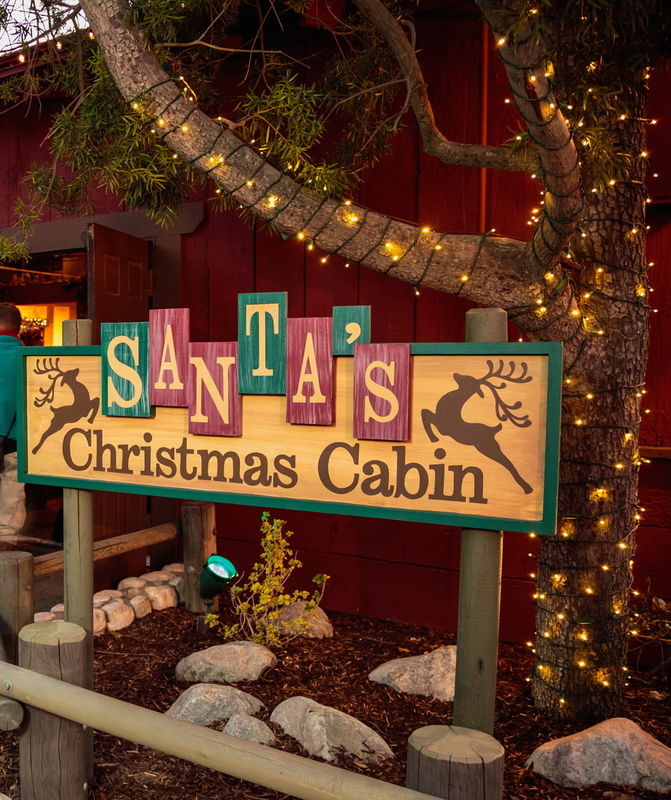 During Knott’s Merry Farm, park guests can enjoy special live entertainment, a crafts fair, lavish holiday decorations, and a nightly snow in Ghost Town, in addition to Knott’s thrilling attractions. 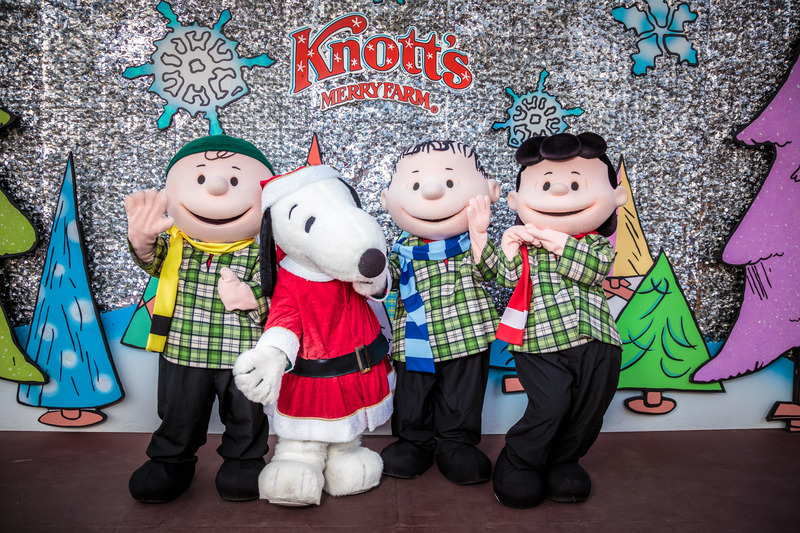 If you’re thinking about getting a 2016 Knott’s Seasonal Pass, you should know that it includes one visit in 2015 and Knott’s Merry Farm is the perfect occasion to use your “one 2015 visit”! 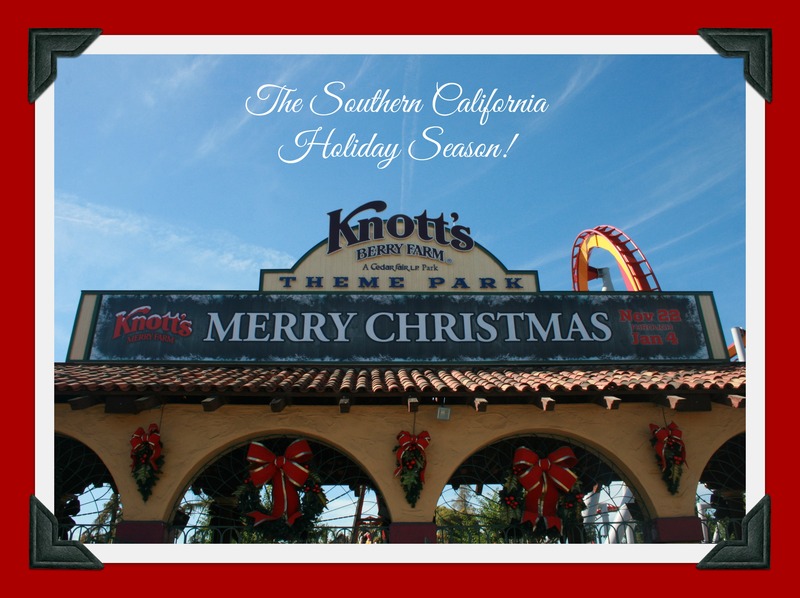 Why not grab your 2016 Season Pass today and use it at Knott’s Merry Farm this year? The Wilderness Dance Hall in Ghost Town is transformed into Santa’s Christmas Cabin for the holiday season. 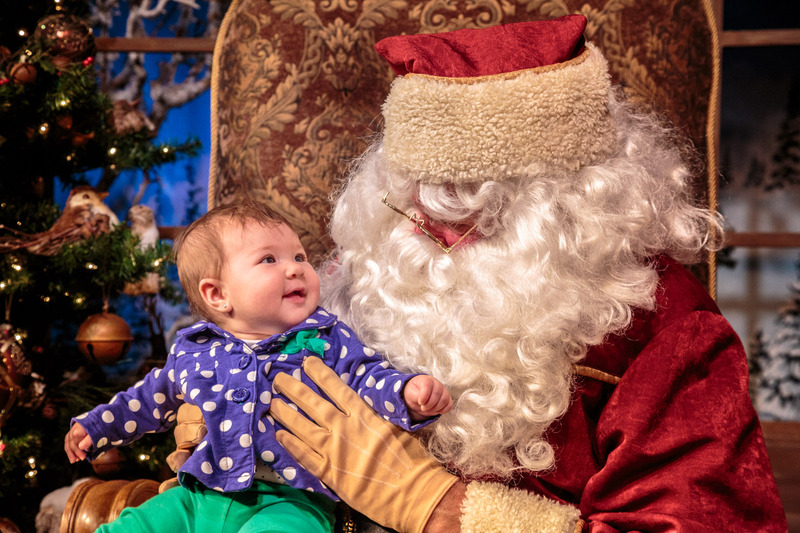 Not only can you indulge in holiday delights like homemade cookies, mouthwatering pastries, fresh roasted nuts, seasonal craft beer, and decadent cinnamon rolls here but you can also visit Santa! 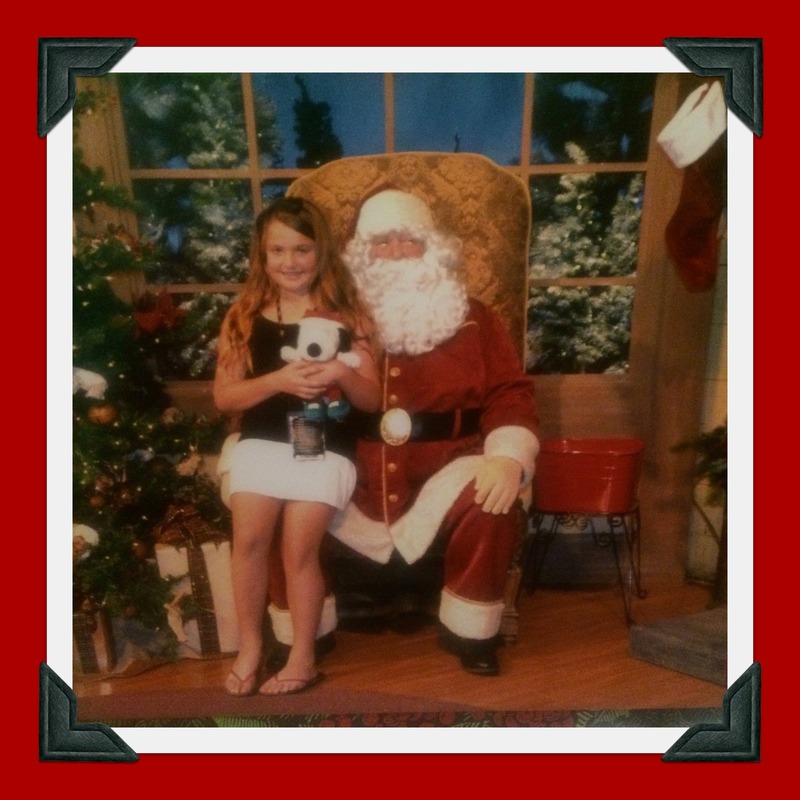 Kids can share their wish lists with Santa and even take a keepsake photo with him. Ghost Town transforms into a shopping wonderland filled with dozens of local artisans selling their unique gifts. Strolling the pathways of Ghost Town, the Calico Carolers share the sounds of the season through songs and hand bell chimes. 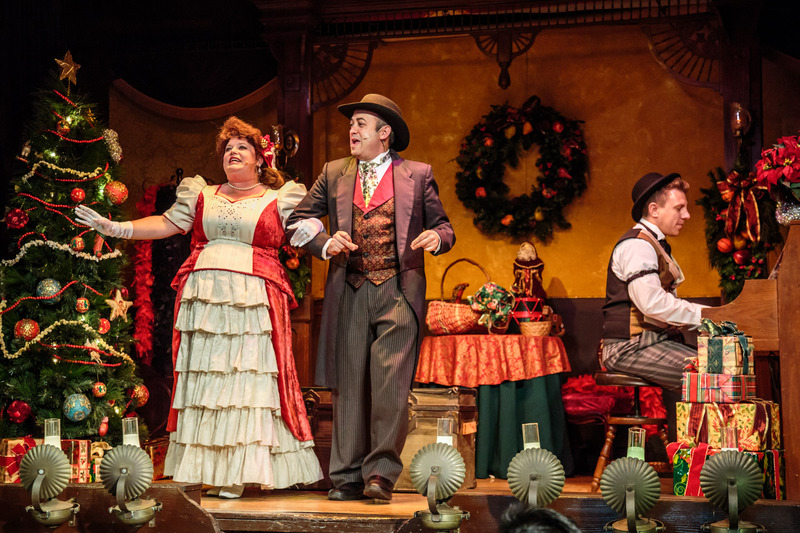 In the intimate setting of Ghost Town’s historic Bird Cage Theatre, Knott’s melodrama company brings to life Charles Dickens’ A Christmas Carol and O. Henry’s A Gift of the Magi with daily performances. Enjoy Knott’s world-famous holiday treats, including fresh poured-to-order maple lollipops at the Gold Trails Hotel, holiday churros from the Churro Factory, and warm gingerbread men baked at the Farm Bakery. 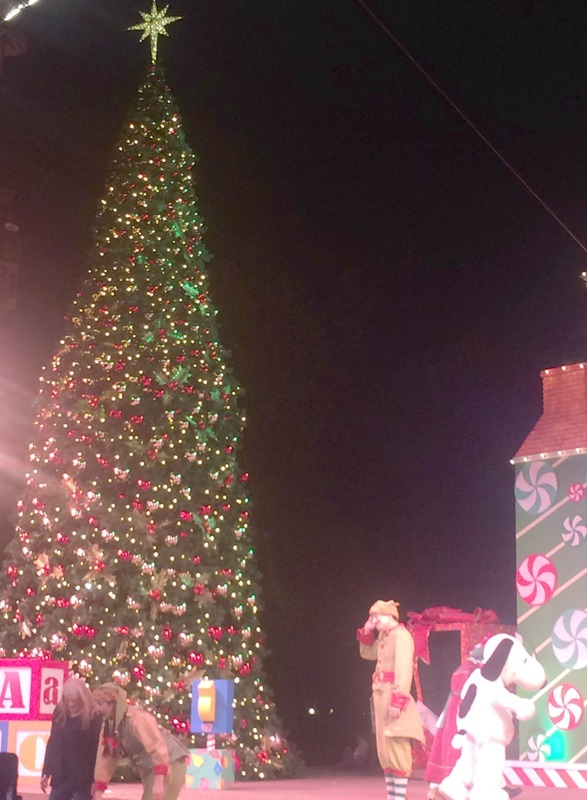 Another nighttime tradition at Knott’s Merry Farm is Snoopy’s Merriest Tree Lighting show on the Calico Square Stage. This whimsical tree lighting features a cast of marching toy soldiers, the loveable Mrs. Claus, dancing snowmen, and the world’s most famous beagle, Snoopy! You’ll find a ton of live entertainment to enjoy with the whole family during Knott’s Merry Farm. Returning this year, the PEANUTS® gang, and a cast of world class ice skaters perform in the breathtaking ice show, Merry Christmas, Snoopy! in the 2,100 seat Charles M. Schulz Theatre. 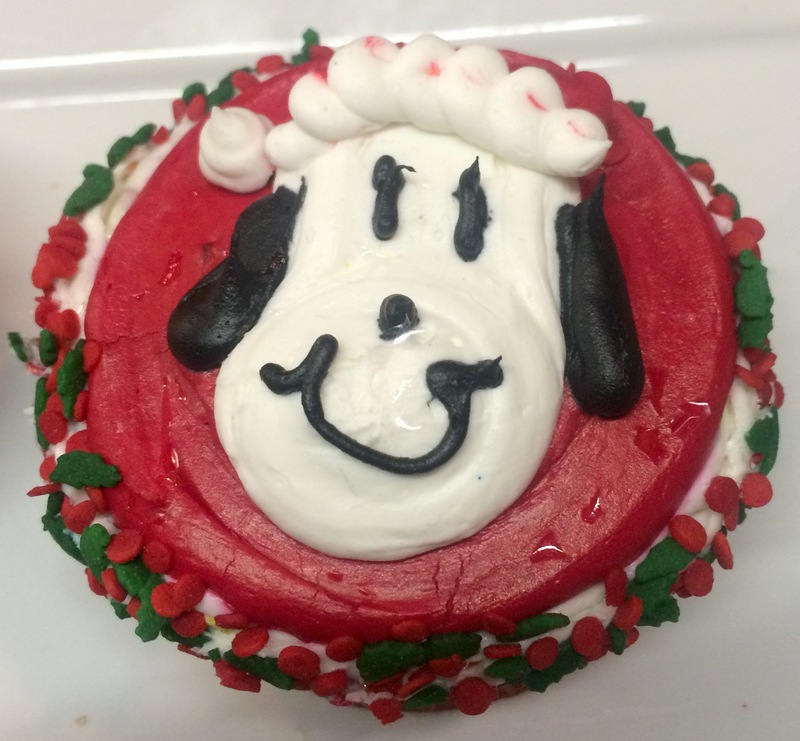 In this whimsical show, Snoopy enjoys all of the best parts of the season, including trimming the Christmas tree, awaiting Santa’s arrival, and attending the Christmas Ball! Select dates, November 21 – Jan 3 (dark Wednesdays). 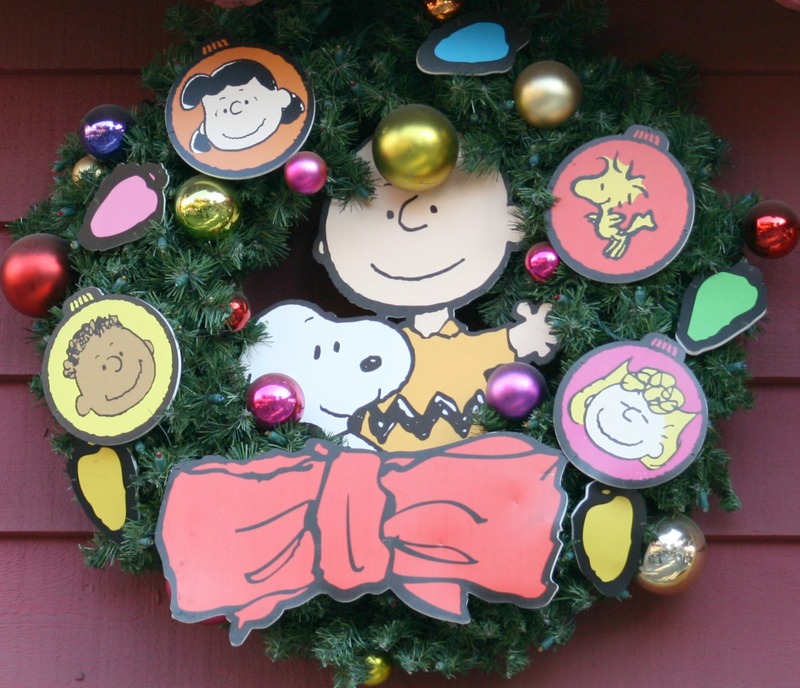 If you love the Peanuts characters as much as we do, you’ll be delighted to find them in the park and dressed for the occasion this time of year! 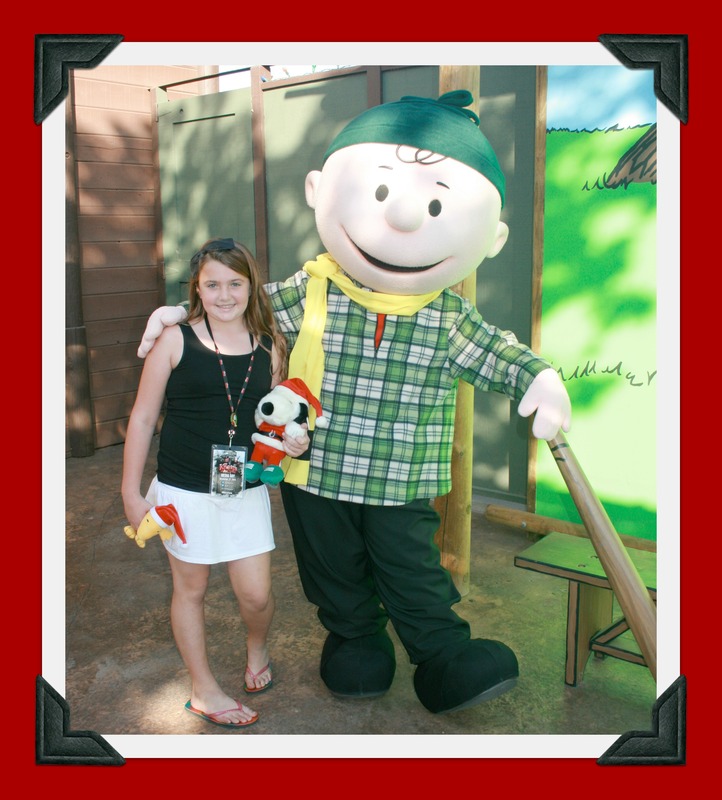 Not only are there photo opportunities with them dressed in holiday attire, you’ can also catch them for a brand-new show in the Camp Snoopy Theater will debut an all-new show, Christmas Time is Here, Charlie Brown. 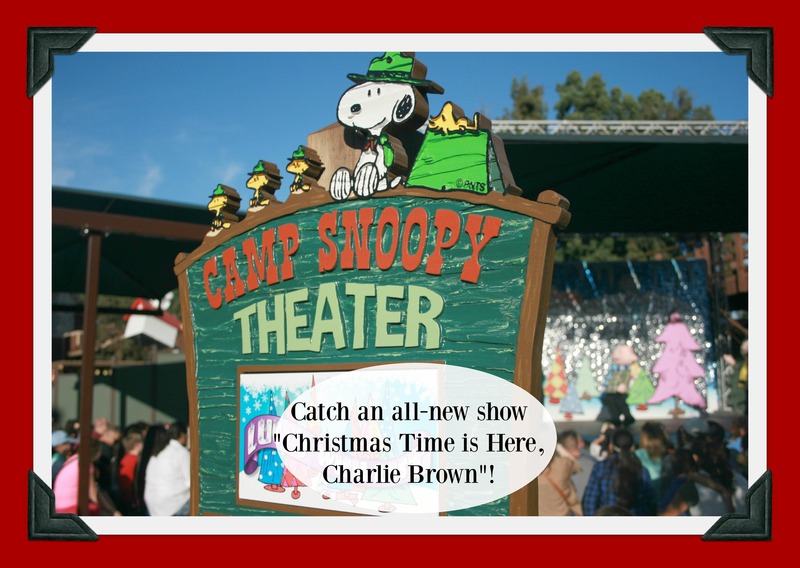 The show features a delightful mash up of some of your favorite holiday songs with a cheerful and heartwarming dose of the Peanuts gang. Other live entertainment you can enjoy during Knott’s Merry Farm includes the toe tappin’, hand clappin’, comedy and bluegrass of Krazy Kirk and the Hillbillies! They continue their Knott’s Merry Farm residency this holiday season in the Birdcage Theatre on select nights. Plus, the upbeat blue grass quartet,The Ghost Town Miners, make their eagerly awaited return to the Fireman’s BBQ stage. Southern California’s finest live bluegrass bands can only be seen at Knott’s Merry Farm. As I mentioned before, if you’re contemplating getting a 2016 Knott’s Season Pass, now is the ideal time to do so since it includes one free admission in 2015, in addition to unlimited visits in 2016, with no blackout dates, discounts on select food and merchandise, and access to exciting year-round seasonal events like Knott’s Merry Farm! Season passes are also the perfect stocking stuffers for all of your friends and family members! It’s affordable year-round fun for everyone on your “nice” list, Season Passes start at just $81.00, the best price of the year for a limited time. For more information about Knott’s Season Passes, go here. Find Knott’s on Facebook, Twitter, and Instagram. Disclosure: I was invited by GigaSavvy to spend New Year’s Eve at Knott’s this year with my family. No other compensation was received. All opinions are 100% my own. I cannot believe that it’s almost 2015! Where has the time gone this year? 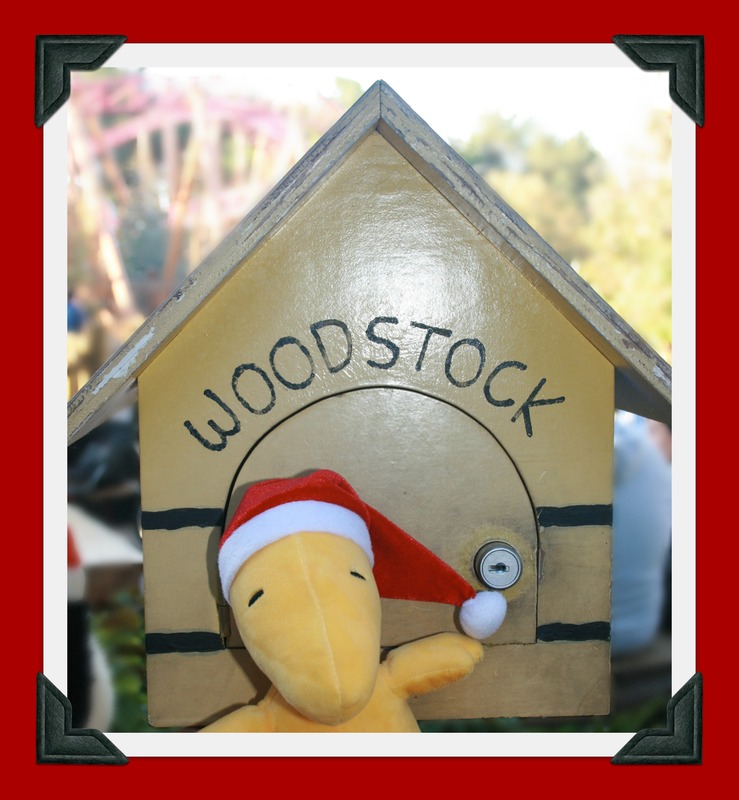 I love the holiday season and have been fortunate enough to fit in a ton of holiday activities this season. With it being the week before Christmas, I’m also already planning for New Year’s Eve! 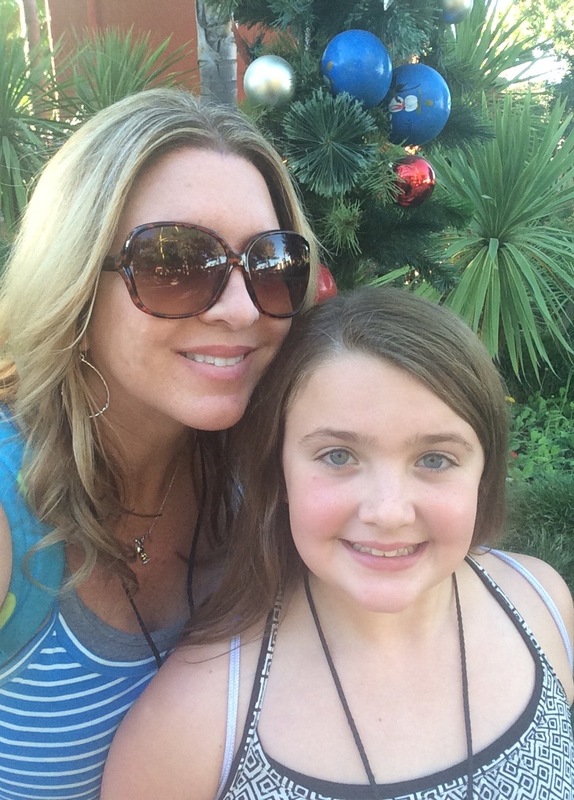 This year, our family is going to spend New Year’s Eve at Knott’s and I think you should too! Put on your party hats and get ready to ring in the New Year at Knott’s family-friendly New Year’s Eve event that offers something for everyone! 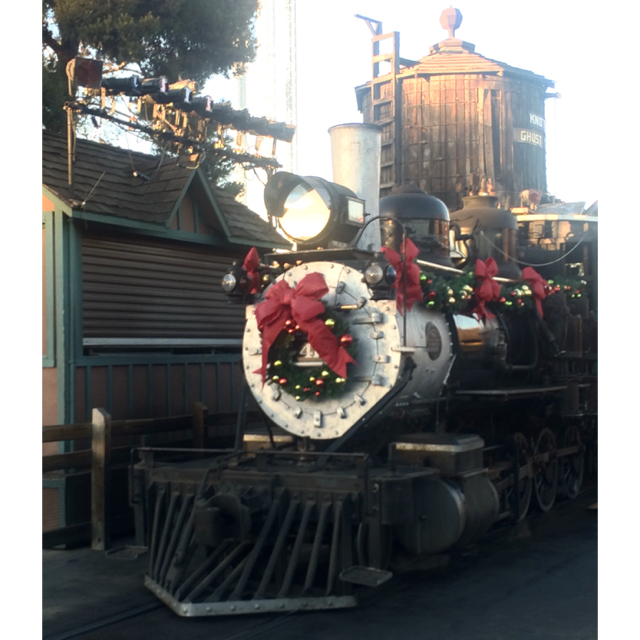 Knott’s is a fun and safe options for families who want to ring in the New Year together. Extended park hours (from 10 a.m. until 1 a.m.! ), live entertainment, and a fireworks display are all included in the price of regular park admission! And if you have a 2015 Season Pass the value is even better, because each 2015 Season Pass includes one FREE visit in 2014 that can be used on New Year’s Eve! 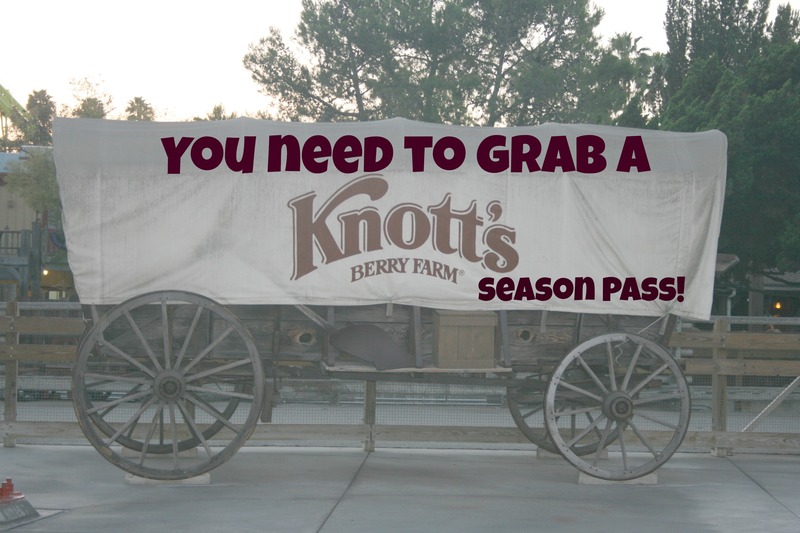 There’s still time to purchase Knott’s 2015 Season Passes (have you seen how low they’re priced at?) 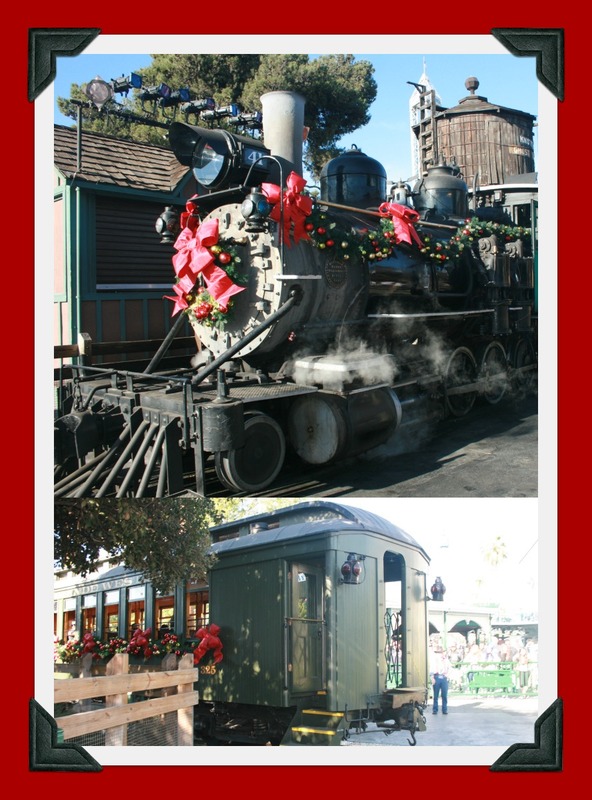 which also include a visit in 2014, and you could also use that 2014 visit for New Year’s Eve at Knott’s! So what are YOUR plans for New Year’s Eve this year? 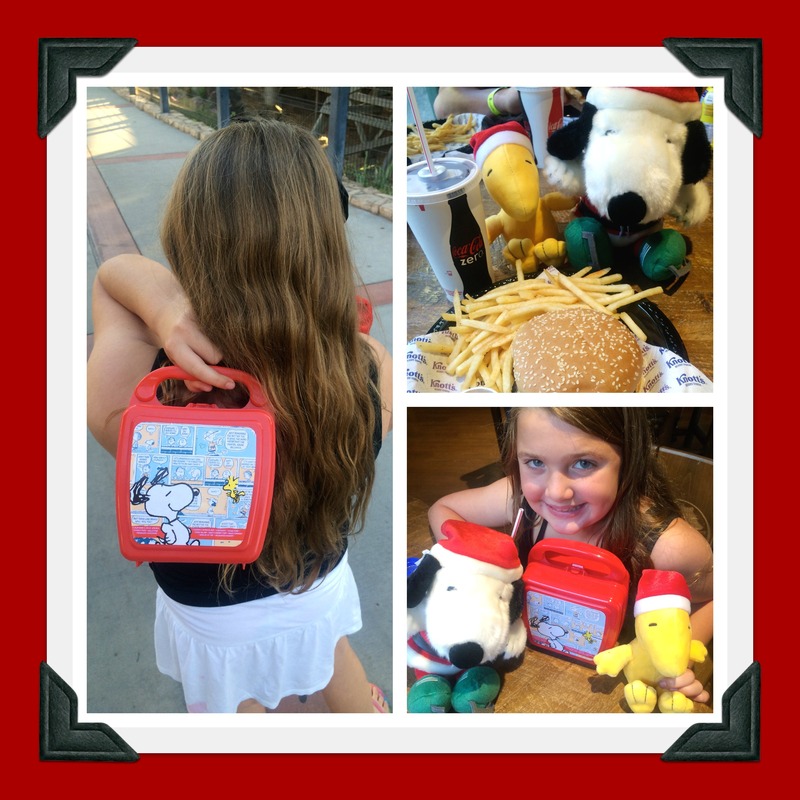 Why not head over to Knott’s? 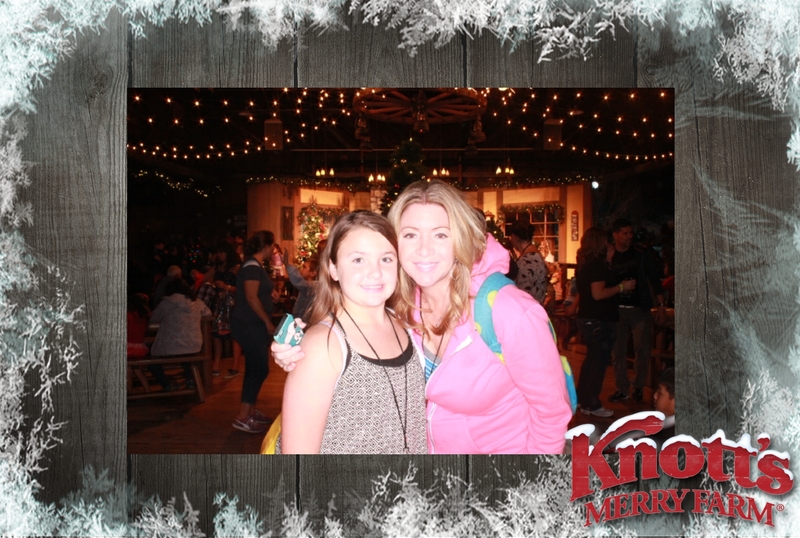 Disclosure: I was invited to attend a social media day at Knott’s Merry Farm and provided with information to share with my readers about Knott’s Merry Farm and 2015 Knott’s Season Passes. No other compensation was received. All opinions are 100% my own. The holiday season is officially underway! There are decorations popping up in stores everywhere, Christmas commercials are playing on the radio and on TV, and moms like me are already starting to think out about WHAT to buy everyone on our Christmas Shopping List! (I already feel like I’m behind on that part!) There are so many fun family holiday activities and events happening around Southern California this time of year also. Our family is really excited to be invited to experience the opening day of Knott’s Merry Farm this year on November 22! It’ll be our first time and we’re counting down the days. 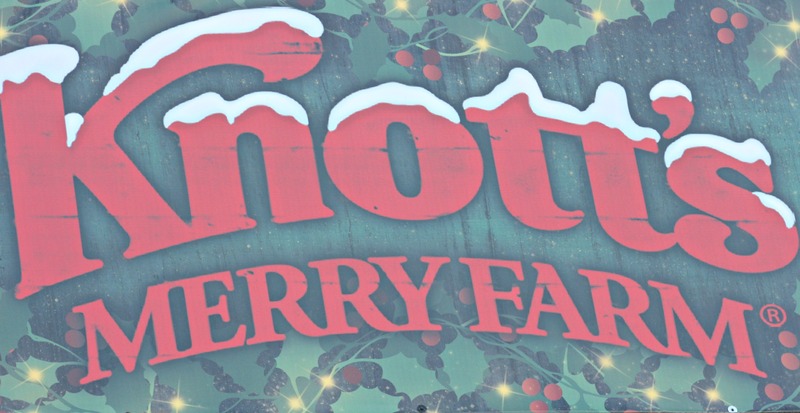 Knott’s Merry Farm has been a Southern California Holiday Tradition since 1985 and is one of Knott’s Berry Farm’s seasonal events. The celebration of the Christmas season will start on November 22 this year and go through January 4, 2015. The event includes park-wide lavish decorations, festive food, live entertainment, and a shopping wonderland filled with local artisans. 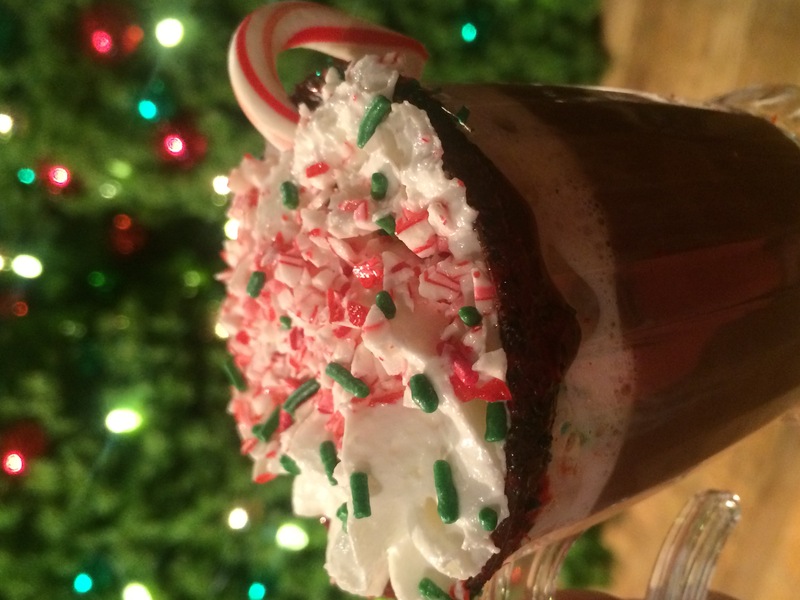 Knott’s Berry Farm’s culinary elves have created delicious festive treats including Santa’s homemade cookies, sundae bar, decadent hot chocolate topped with hand carved chocolate shavings, and winter wine and craft beer tastings. Savor the ultimate comfort foods with Knott’s world famous desserts, including fresh made-to-order Maple Lollipops, churros from the Churro Factory, cakes, cookies, muffins and gingerbread men in the Farm Bakery, as well as the legendary cooking at Mrs. Knott’s Chicken Dinner Restaurant. I can hardly contain my excitement. 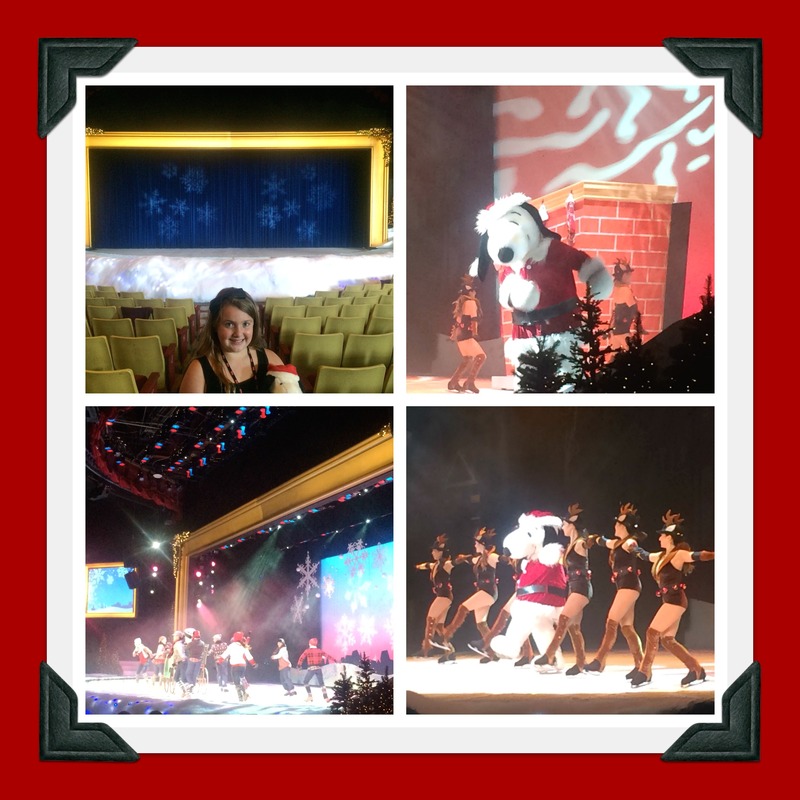 I think I’m most excited to experience all the things Snoopy that Knott’s has in store during Merry Farm, starting with going to see a performance by the world famous beagle, himself, as he performs a brand new ice spectacular, Merry Christmas, Snoopy!, held inside of the 2100 seat Charles M. Schultz Theatre. • Live performances of Charles Dickens’ “A Christmas Carol” or O. Henry’s “A Gift of the Magi” in an intimate setting of the historic Bird Cage Theatre. • When the sun sets on the Farm, Calico Stage lights up with the celebration of the season in Snoopy’s Merriest Tree Lighting. Join us for a musical, whimsical tree lighting featuring a cast of Toy Soldiers, Snowmen, Elves and America’s most famous beagle, Snoopy! 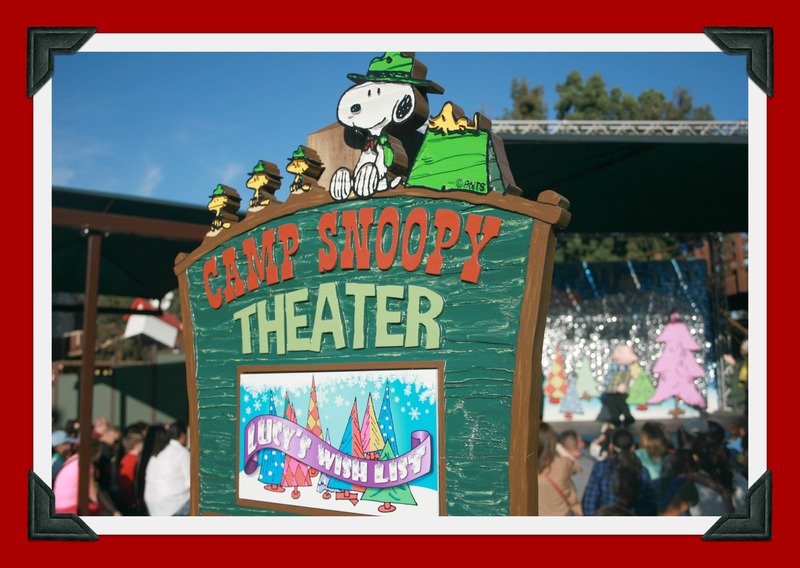 • Over in Camp Snoopy, Charlie Brown, Linus and Lucy invite you to dance, sing and join in on the holiday fun in the Camp Snoopy Theatre. Christmas plans and songs with you. 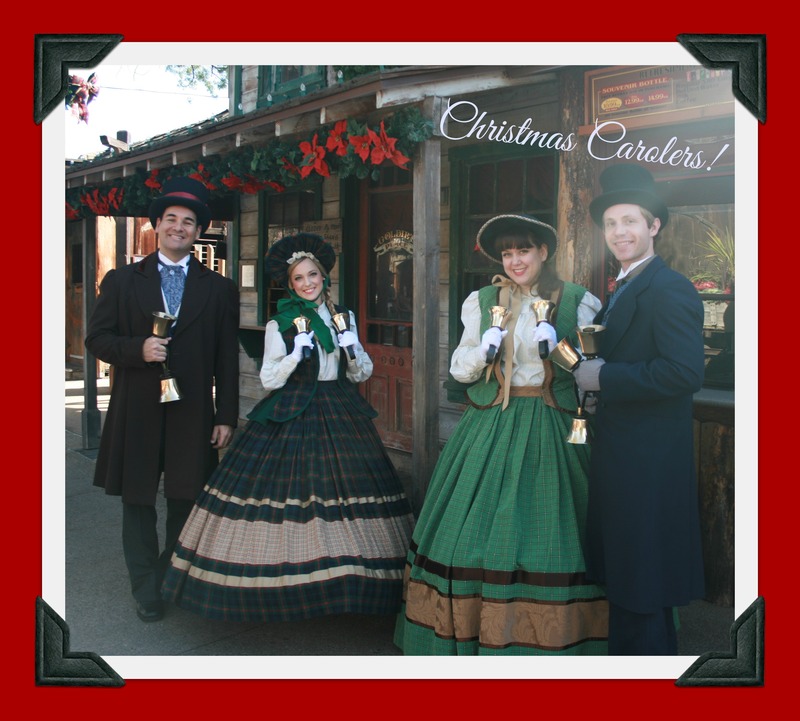 • Ghost Town also celebrates of the sounds of the season with its very own Dickensian vocal quartet, Calico Carolers and interactive country Christmas blue grass quartet, the Ghost Town Miners. 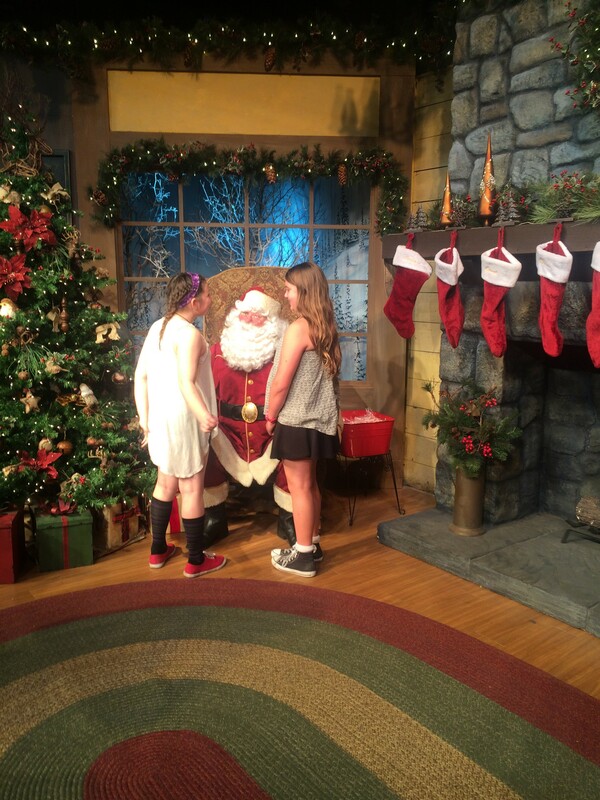 Christmas wouldn’t be complete without visiting Santa Claus. The Wilderness Dance Hall in Ghost Town becomes home to Santa’s Christmas Cabin for the holiday season. Here, the young and the young at heart can share their wish lists with jolly Santa Claus and take home a picture of the occasion. We’re excited to capture a special family memory like this because we like to use our annual Santa photo for our family holiday cards! So, let’s get back to when I mentioned about how I’m starting to think about WHAT to get everyone on my holiday shopping list! I came up with the best idea! It’s a one-size, fits all, and it’s sure to please EVERYONE who receives it! 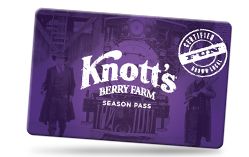 It’s a 2015 Knott’s Season Pass! Why not grab one for everyone on your list? Seriously though! Knott’s is California’s best amusement park and the prices for a year-long season pass are incredibly affordable! All the fun activities, shows and entertainment happening during the holidays at Knott’s is something you don’t want to miss! 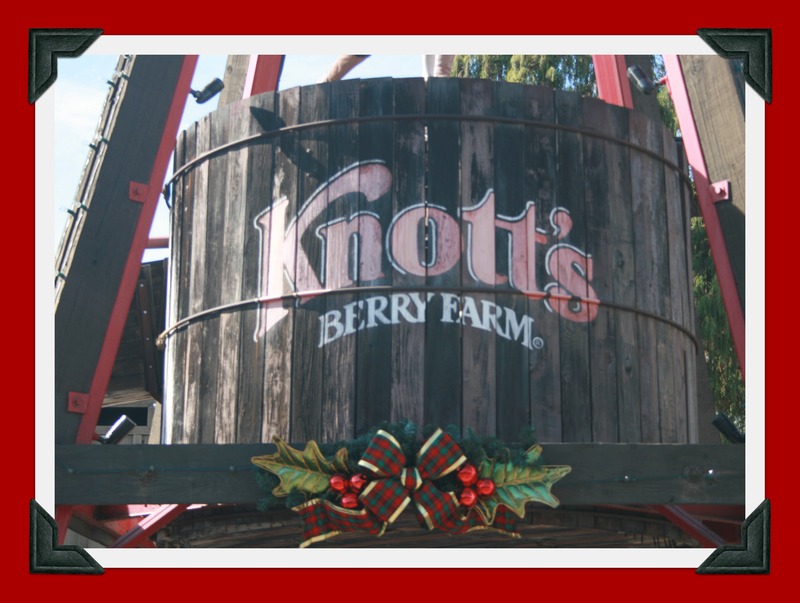 Why not purchase a Knott’s Berry Farm 2015 Season Pass for someone (or your entire family), which makes the perfect holiday gift and plan your own day out at Knott’s Merry Farm this year, which would be included with your pass as your one 2014 visit? We’ll be there on the 22nd and can’t wait to share a ton of fun pictures with everyone! 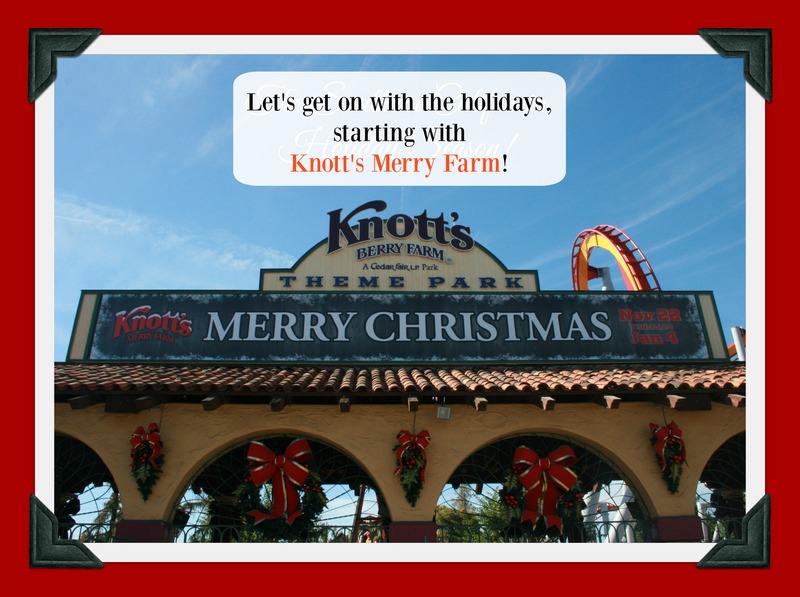 Will you be going to Knott’s Merry Farm this year? I sure hope so! 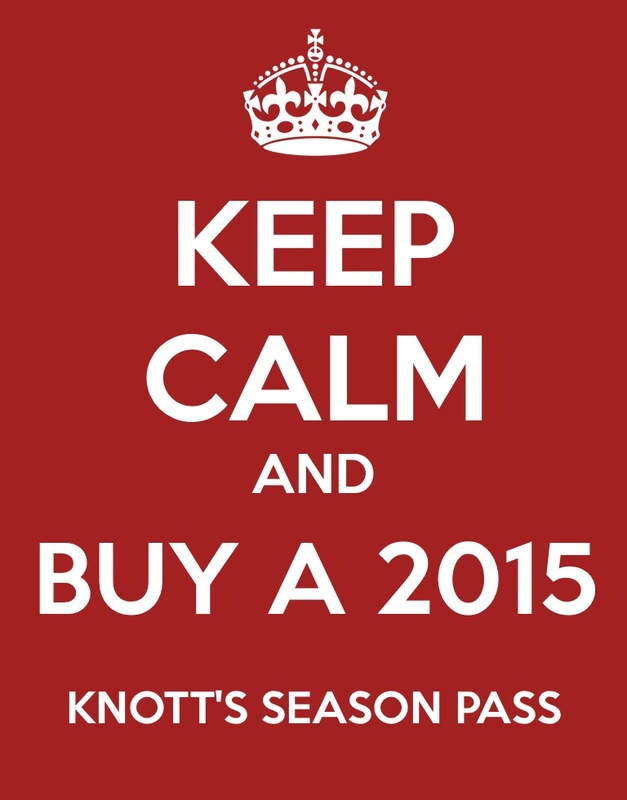 Keep Calm and Grab a 2015 Knott’s Season Pass Now at Their Lowest Prices of the Year! Now that Halloween’s over, it’s officially “that time of year” again…time to start thinking about what to get for everyone on your holiday shopping list! 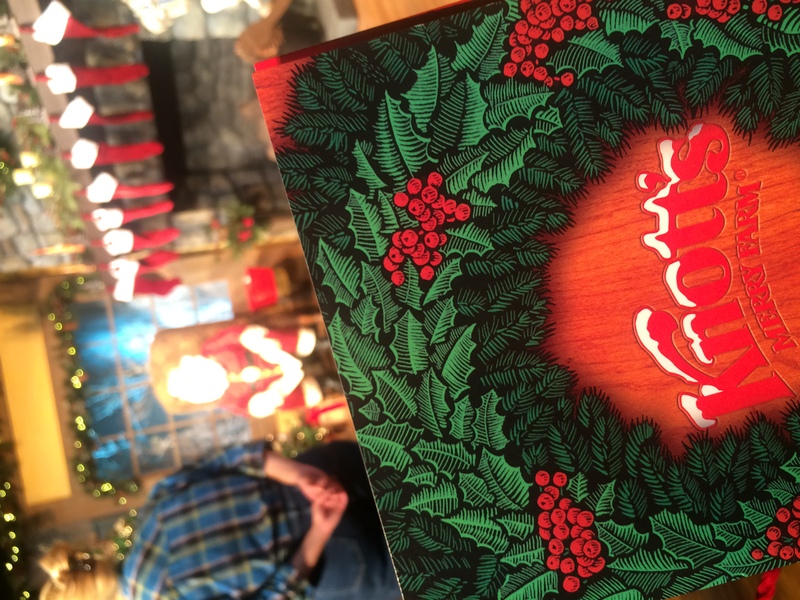 I know what the people in my family are asking for this year….a Knott’s Season Pass! If you haven’t seen what amazing prices Knott’s is offering their 2015 Season Passes at right now, you need to! 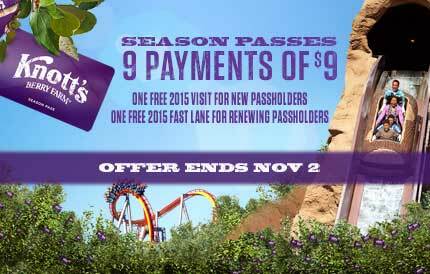 Right now, the Regular Season Pass is available for 9 low monthly payments of $8.50! I know there are many families who can appreciate the option of that payment plan, too. It’s such an affordable price and something that you could buy for your whole family to enjoy together, over and over. This is the lowest pass of the year and will go up after November 4th. 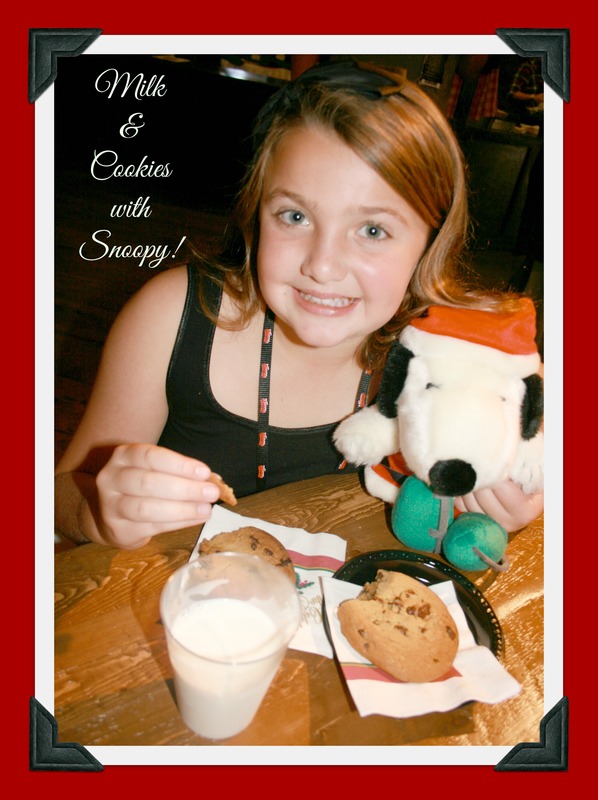 Another amazing offer this year is Knott’s Season Pass With An All-Season Dining Plan! 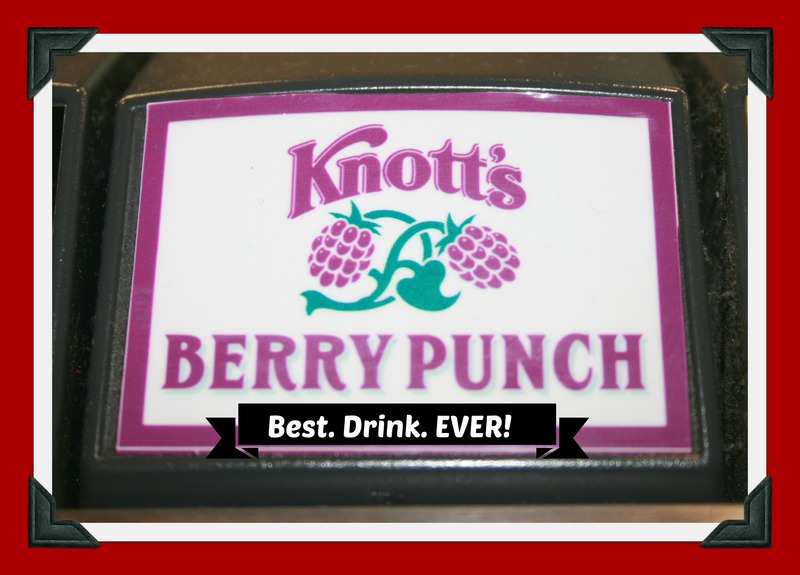 The plan includes one lunch and one dinner (beverages are not included) at participating locations throughout the park, every day you visit Knott’s Berry Farm in 2015 and can be purchased as an $11 add-on to your Season Pass. Meals can be a big expense during a visit to an amusement park, so this is a really great deal, too! Our family recently spent a really fun day together at Camp Spooky, which is a non-scary way to celebrate Halloween time together at Knott’s. We can’t wait to go back next year and create even more memories together! It’s so much fun for me to be able to watch my own daughter enjoy some of the same rides at Knott’s that I enjoyed as a kid. 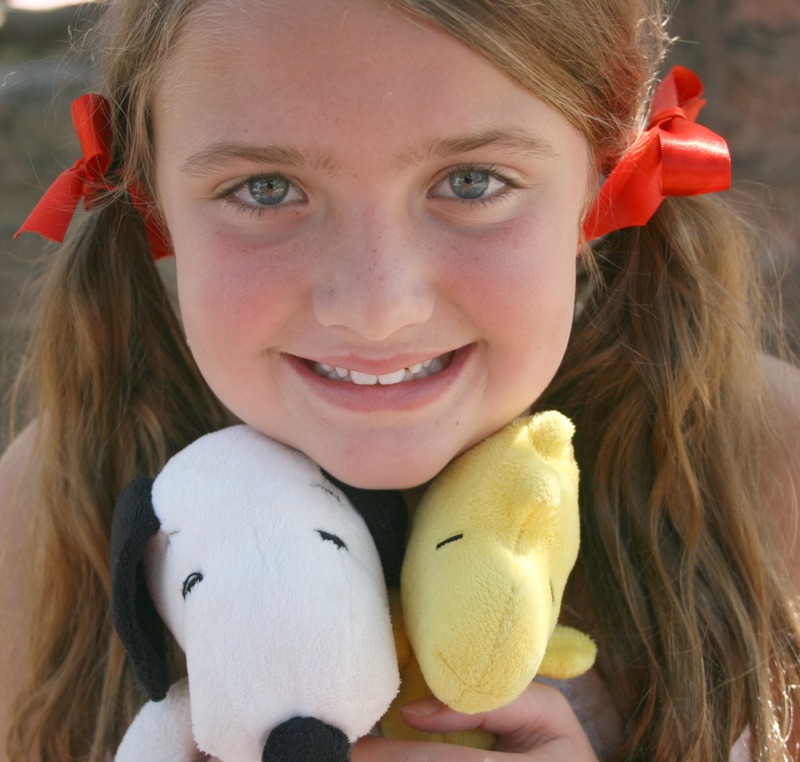 I also adore that she loves Snoopy and all of the other Peanuts character that I grew up with. 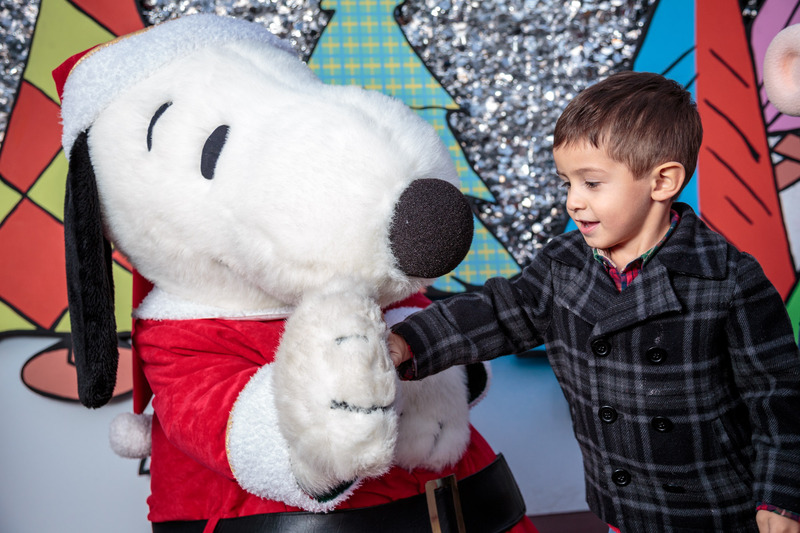 Why not grab 2015 passes for your family now and use your 2014 visit to experience Knott’s during their annual Knott’s Merry Farm celebration, beginning at the end of November? Whatever you do, you might want to hurry up and grab this deal before November 4th, when the prices increase! For more information about Knott’s Season Passes, click here. Disclosure: This is not a sponsored post. All opinions are 100% my own. 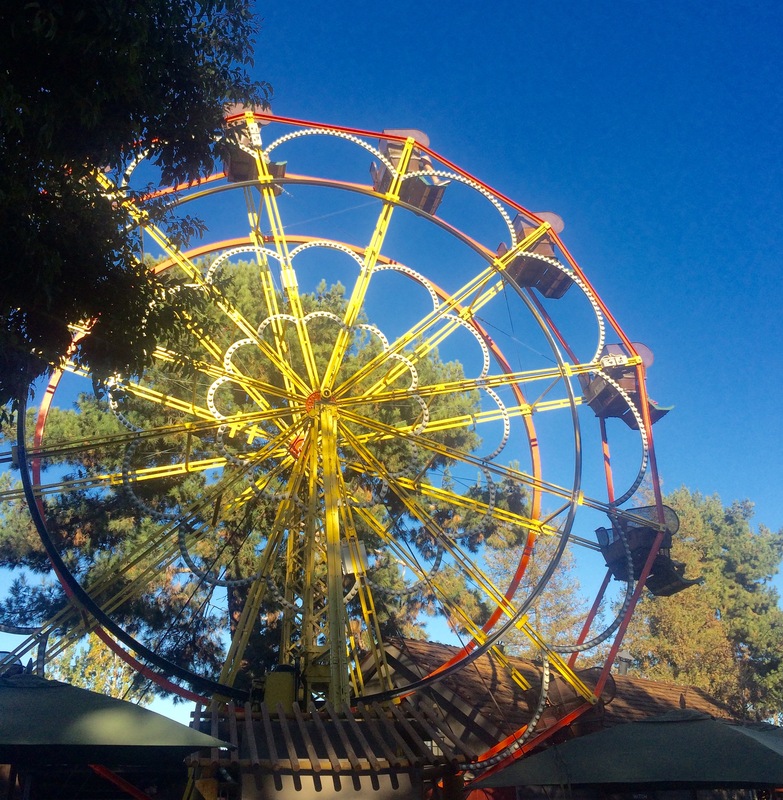 Why YOU Need to Grab a 2015 Knott’s Season Pass….Like NOW! 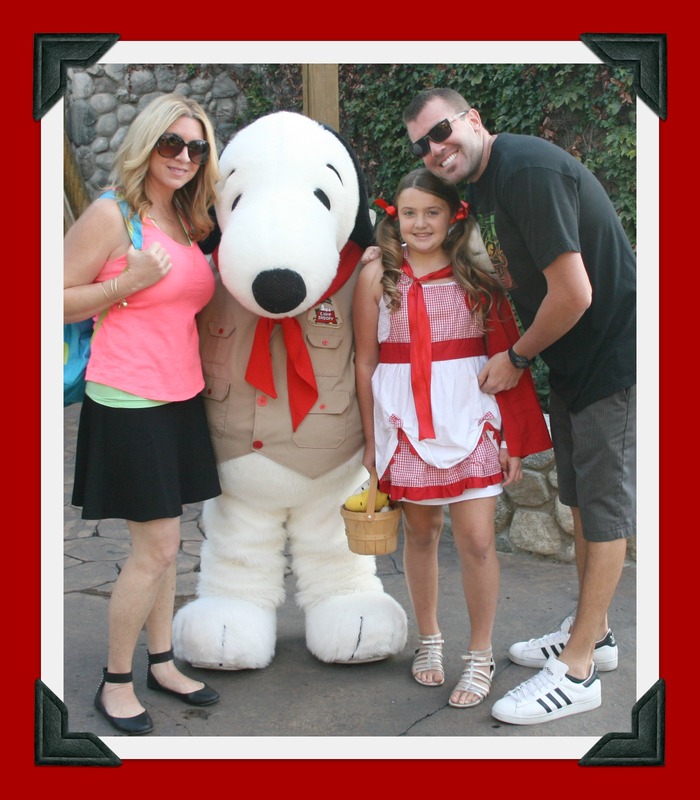 Disclosure: I was invited as a guest to enjoy time at Knott’s Berry Farm with my family in order to write this post. I do not work for any brand mentioned in this article, nor do I have a relationship with them. I have a professional relationship with GigaSavvy, for which I create written content. All opinions are 100% my own. 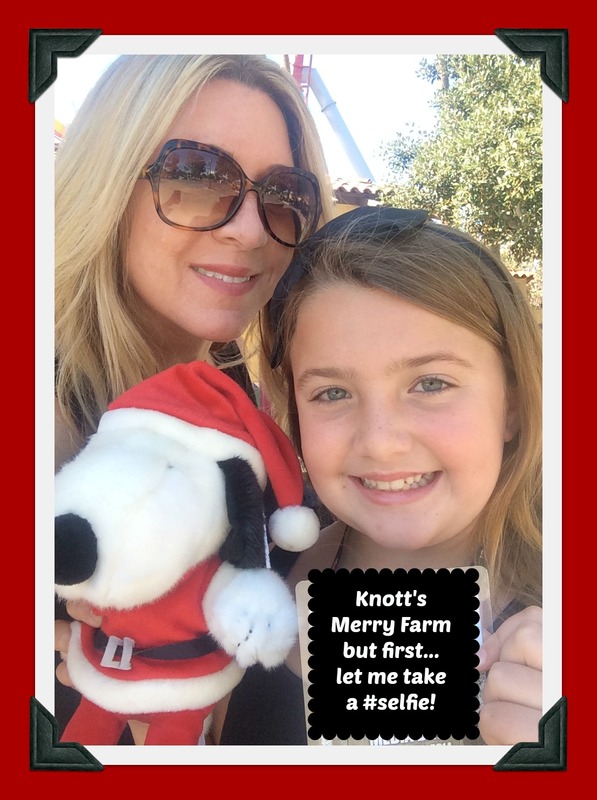 I’m not sure if you’re aware of just how affordable a Knott’s Season Pass is or how awesome all of the perks that come with it are, but if you’re not, just keep on reading this post while I tell you about why I love Knott’s and all of the reasons why I think you need to get one for 2015! Over the past couple of weeks, I’ve had two different opportunities to go to Knott’s Berry Farm Park. 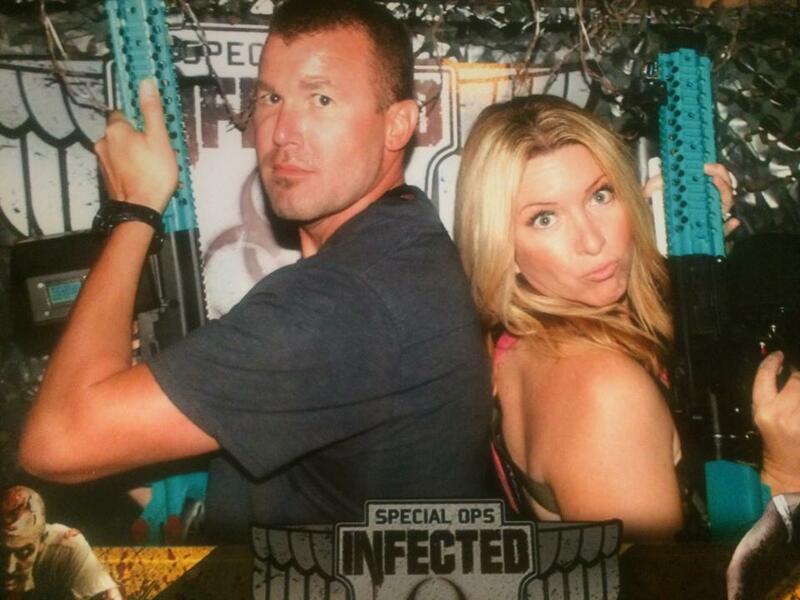 I went once with my husband for an adults’ night out at Knott’s Scary Farm, which was amazingly scary and fun. Then, this past weekend, all 3 of us visited Knott’s again, for the first weekend of Camp Spooky and to welcome Halloween. It was beyond adorable and Emi has been asking to go back again this weekend. I grew up in Southern California and going to Knott’s with my family was something that we did every summer. I have some pretty significant memories from those trips. 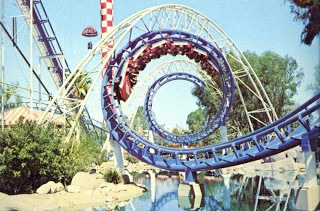 My first time riding on an upside-down roller coaster was at Knott’s! It was on the Corkscrew (which has since been replaced with Boomerang) and I rode it with my dad. We used to ride it together every time we visited Knott’s. For me, visiting Knott’s together as a family, is a time when we can enjoy being together and have fun, while creating new memories. I feel so fortunate to be able to share Knott’s with my own daughter now and all of the history that goes along with it. It’s part of Southern California culture and just what many of us like to do. Knott’s has a great location,in Buena Park, the weather is beautiful on most days and the pricing of a Season Pass really can’t be beat. Right now, a 2015 Knott’s Season Pass is at the lowest price of the year, priced at just $76.50 and includes so many perks. Honestly, the price of the monthly payment is lower than the cost to take your kid(s) to a petting zoo or a movie in the theater one time a month. I like that Knott’s has priced their Season Passes so reasonably and has made them accessible for all types of families. It just makes sense to go and grab one now, don’t you think? 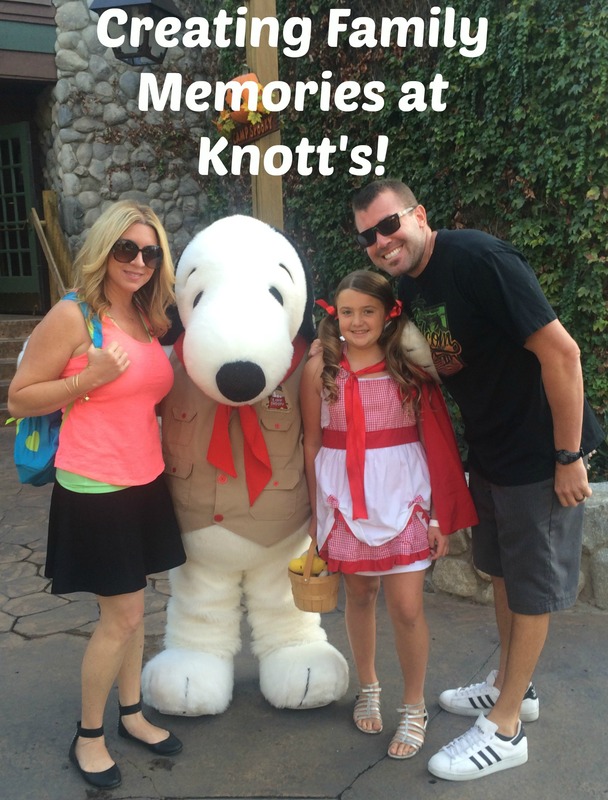 Getting to create special memories like these at Knott’s is something I hold near and dear to my own heart. 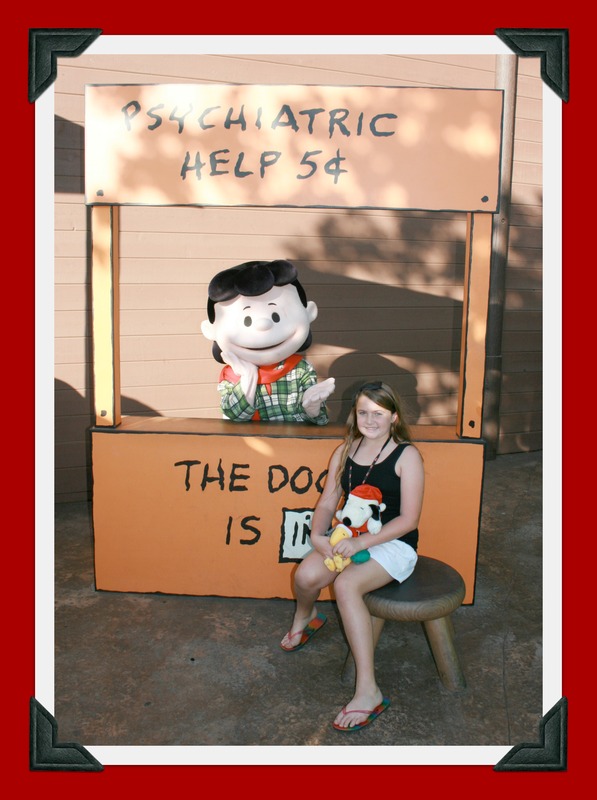 I cannot wait for our next visit to Knott’s! 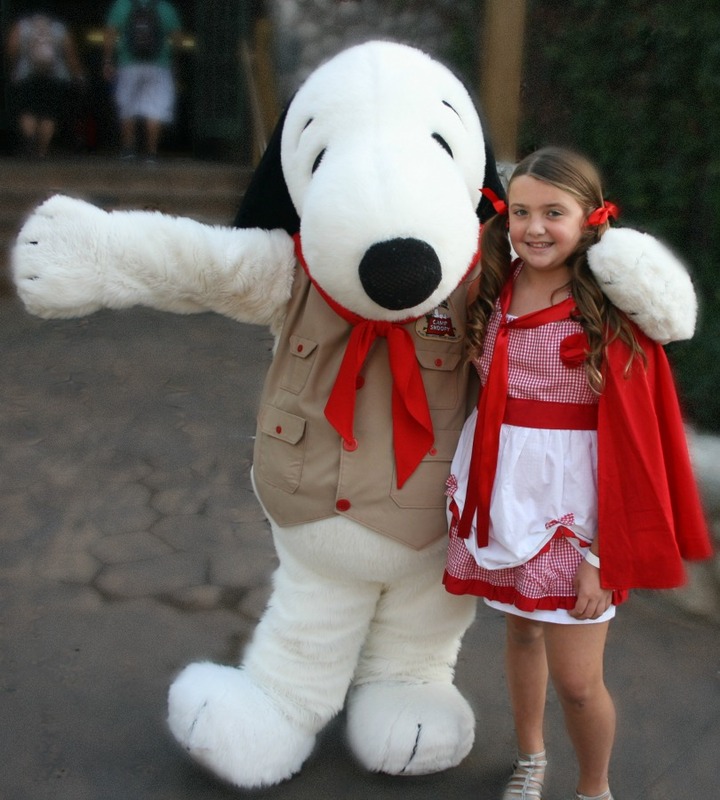 To get more information about Knott’s Season Passes, click here. Connect with Knott’s on Facebook, Twitter, and Instagram too!